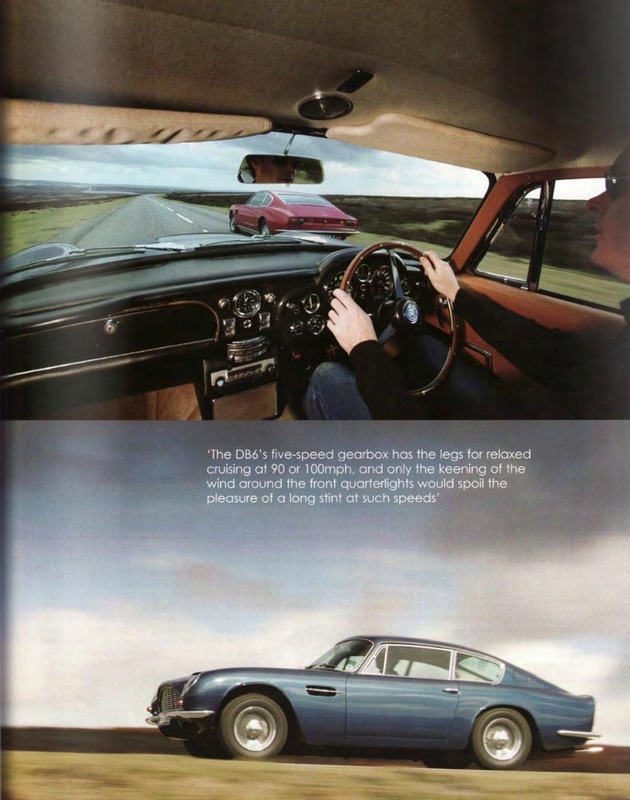 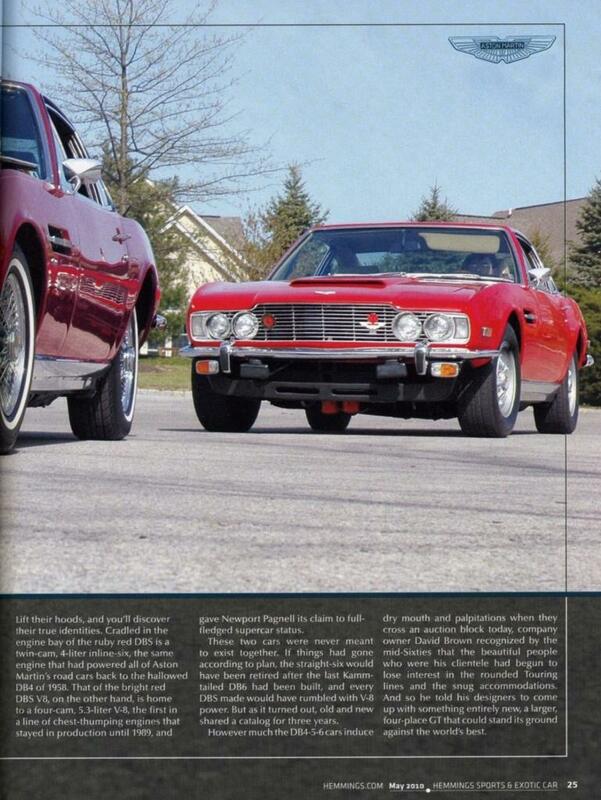 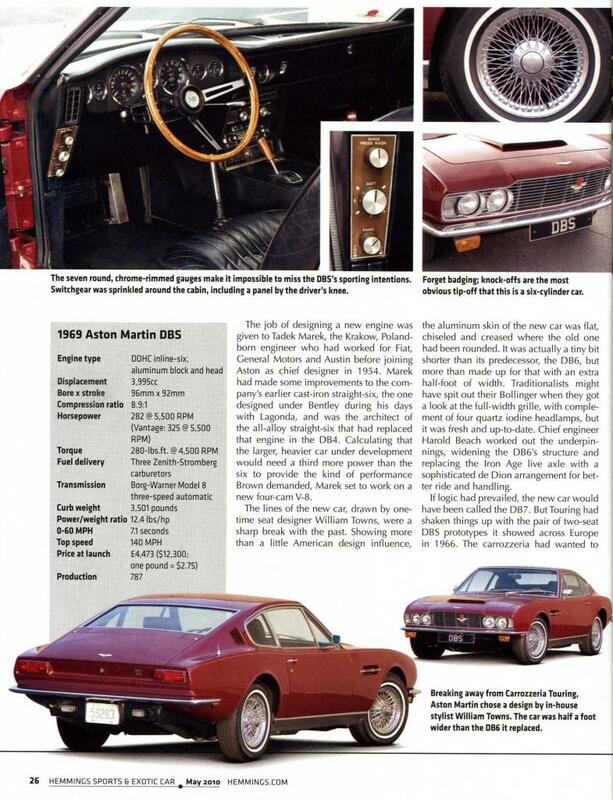 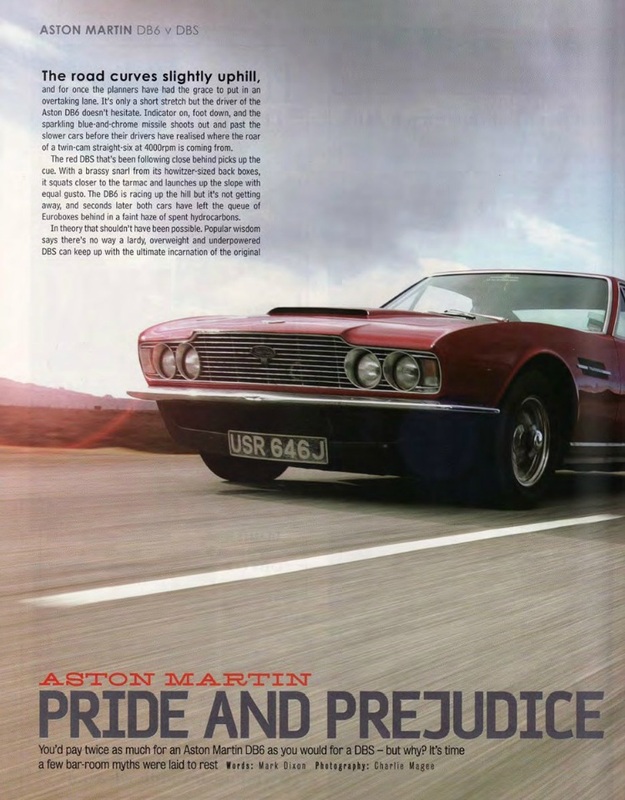 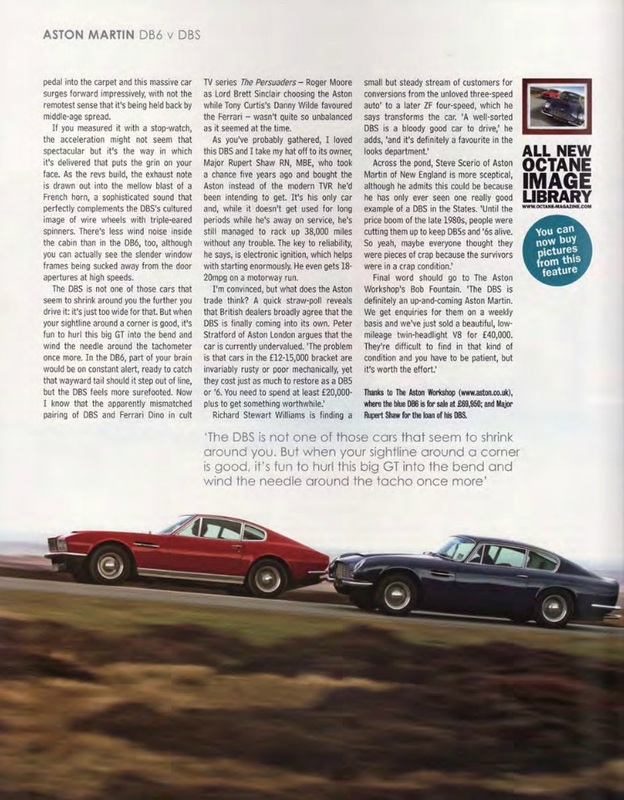 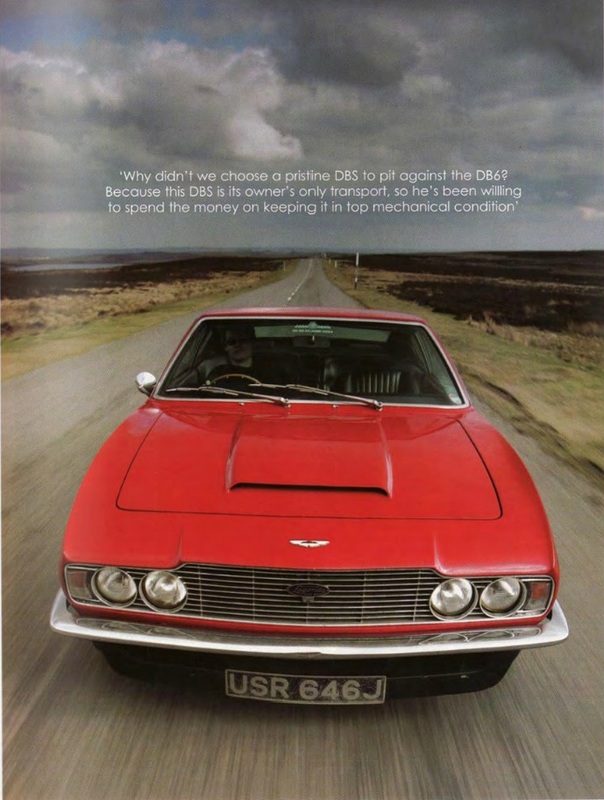 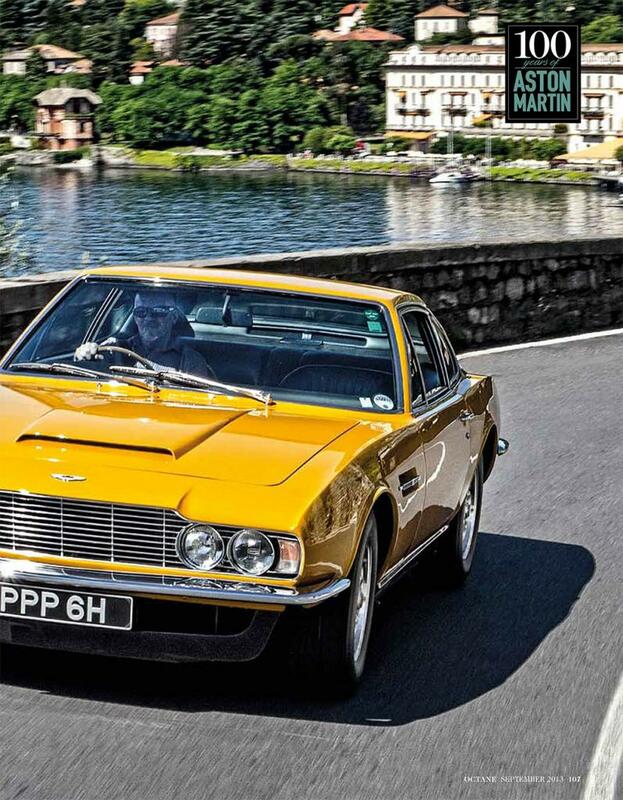 Although its popularity over the years has gone both up and down, the Aston Martin DBS has always been the subject of numerous press articles many of which have been published in the leading car magazines. 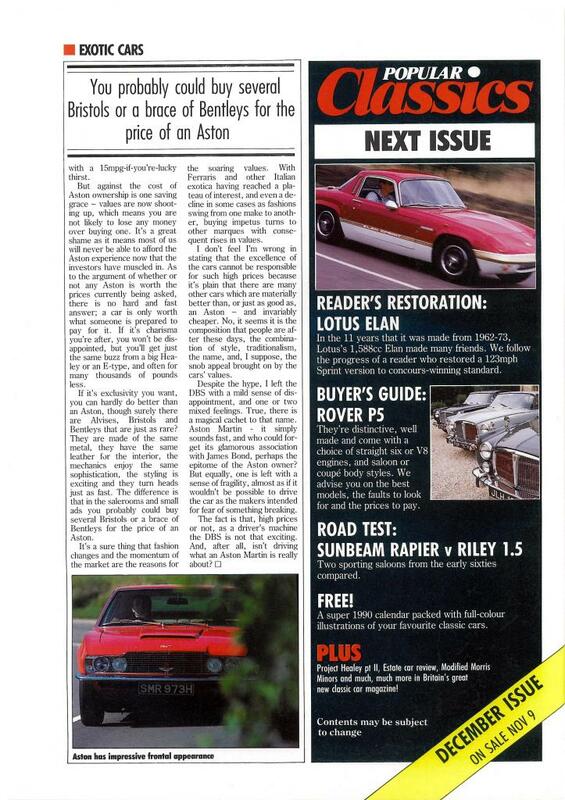 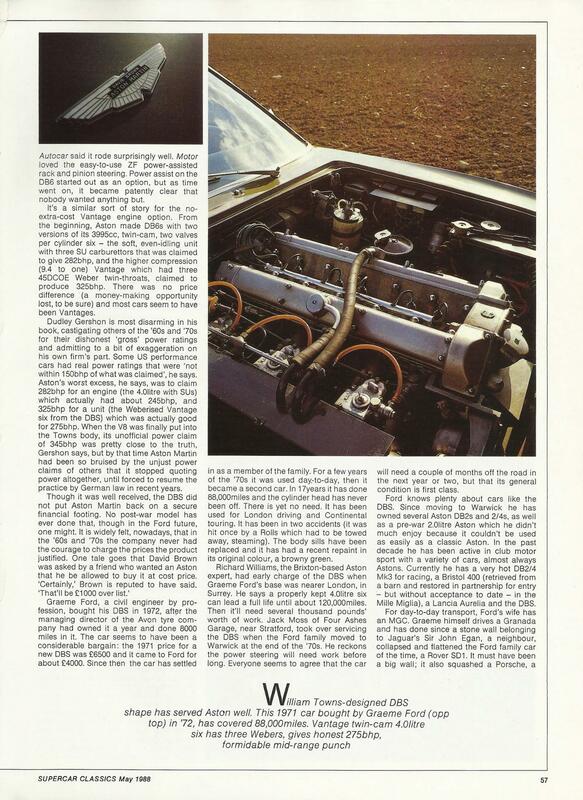 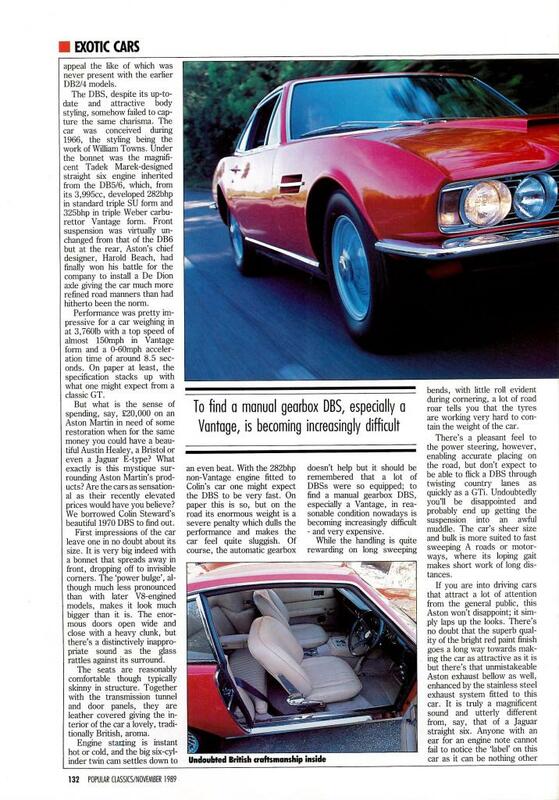 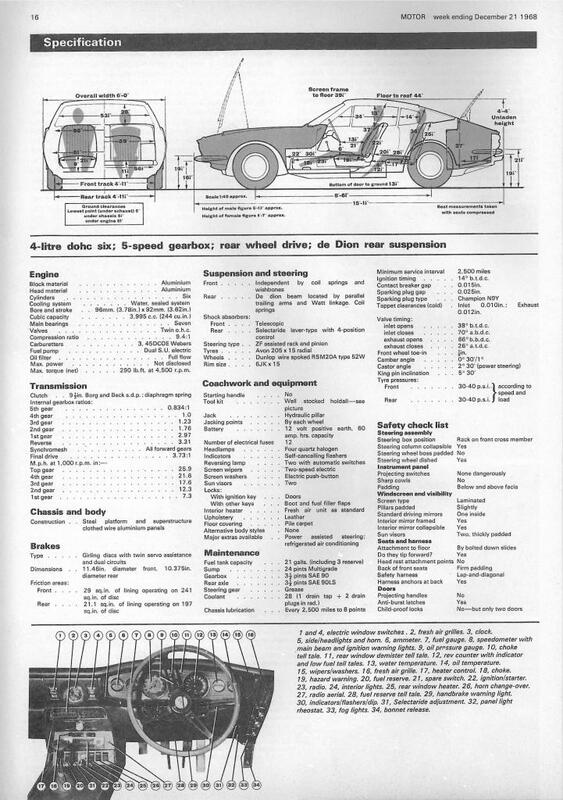 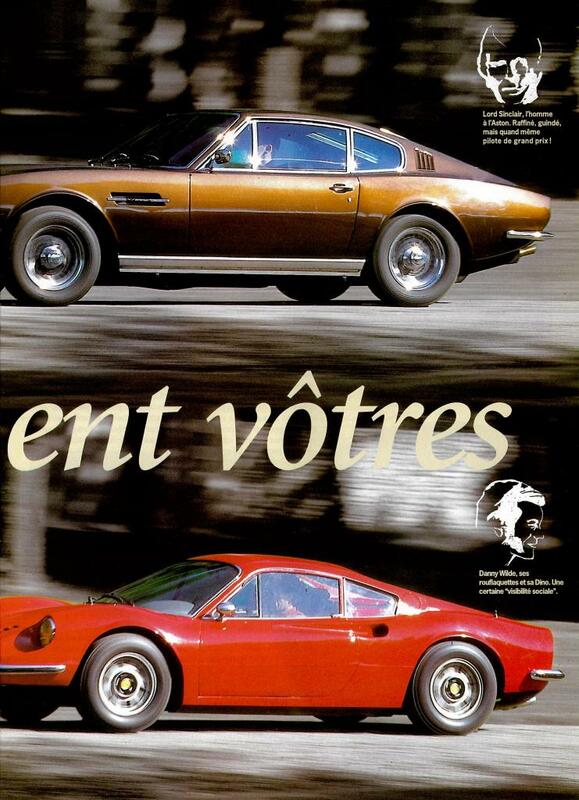 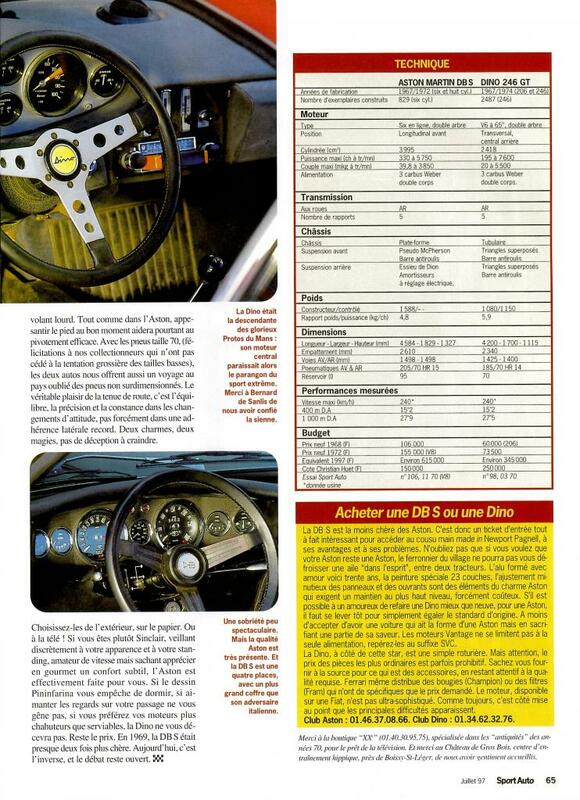 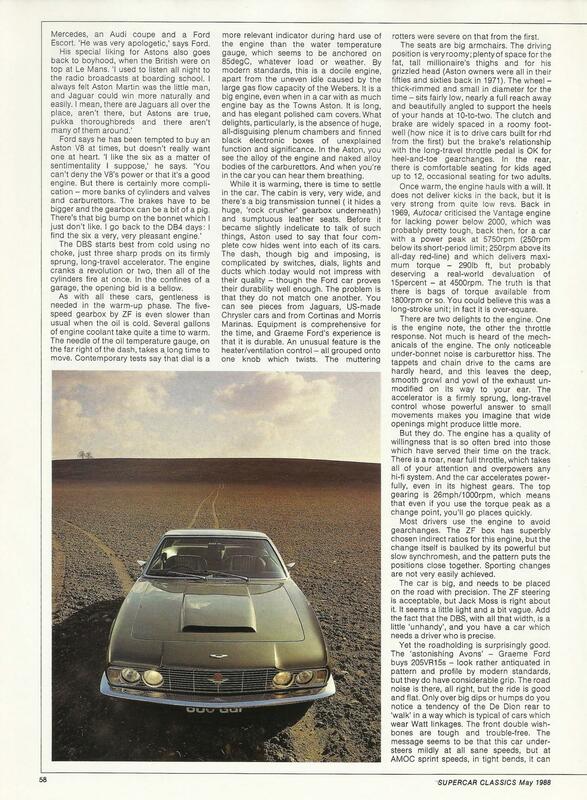 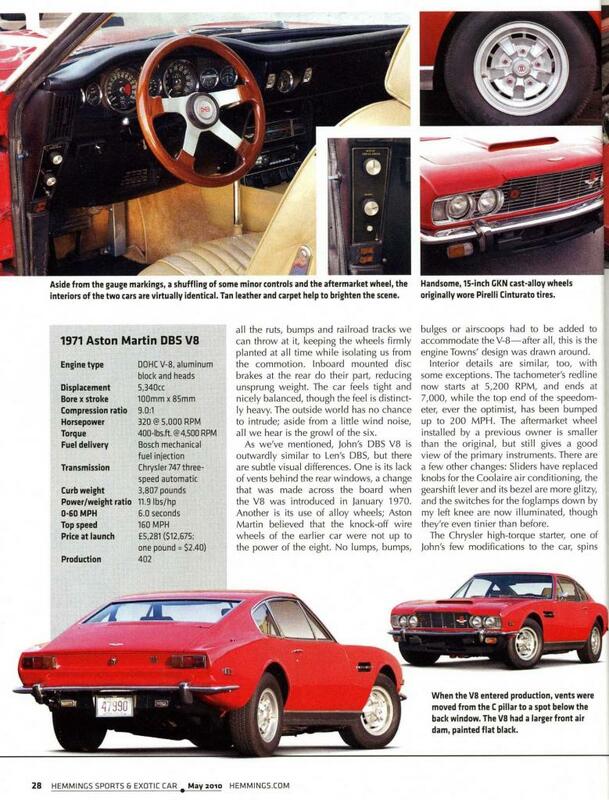 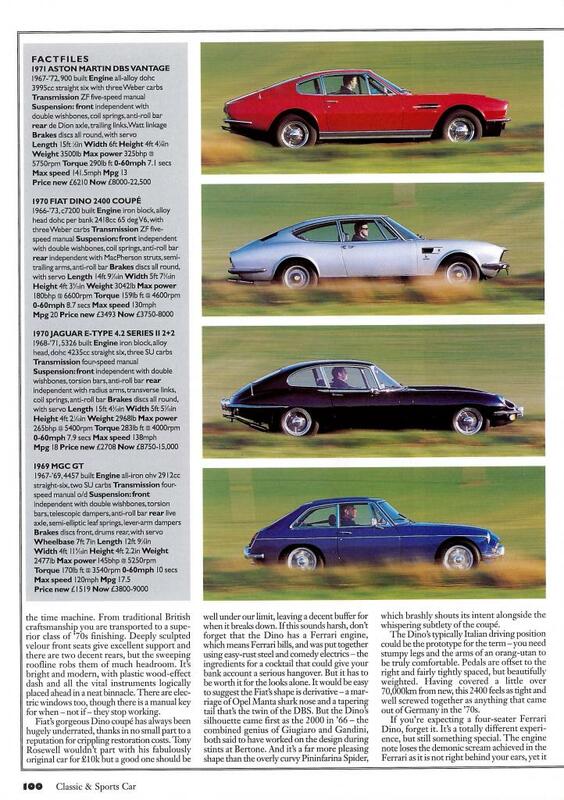 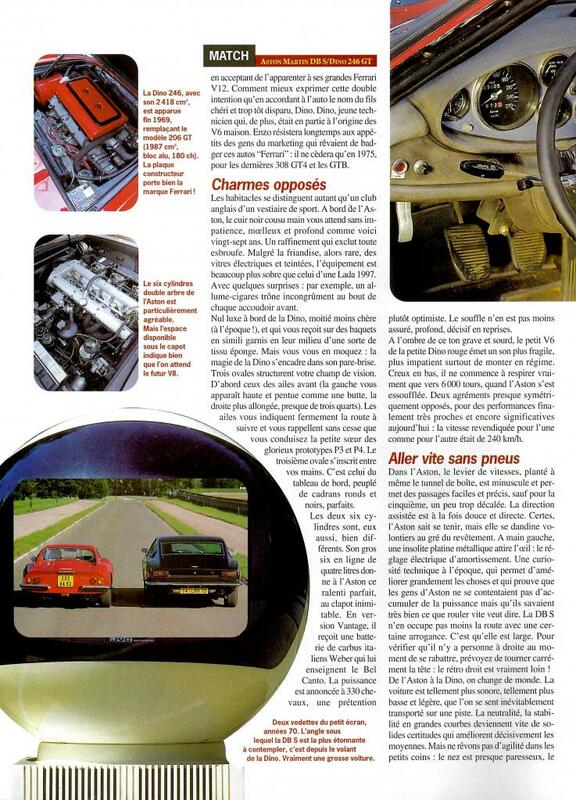 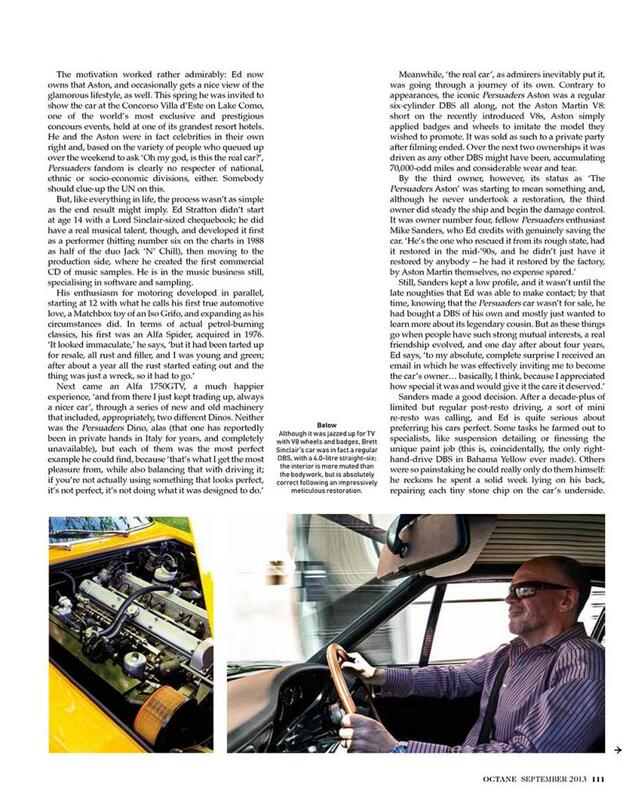 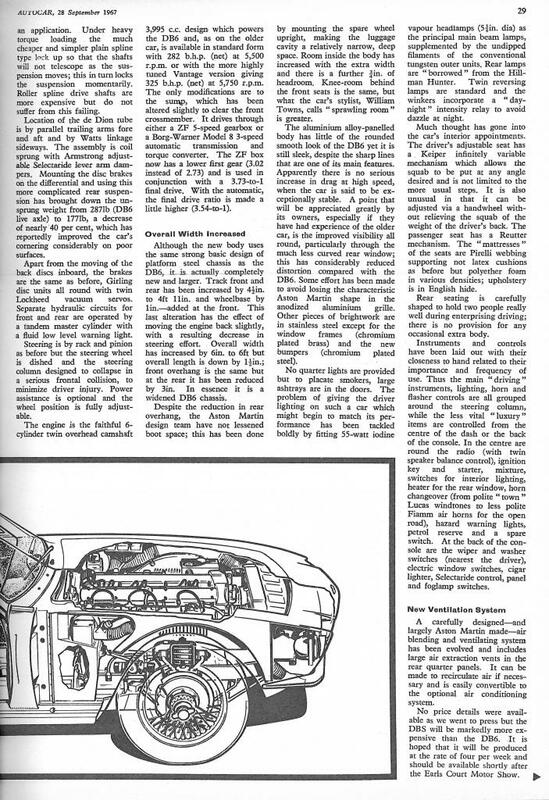 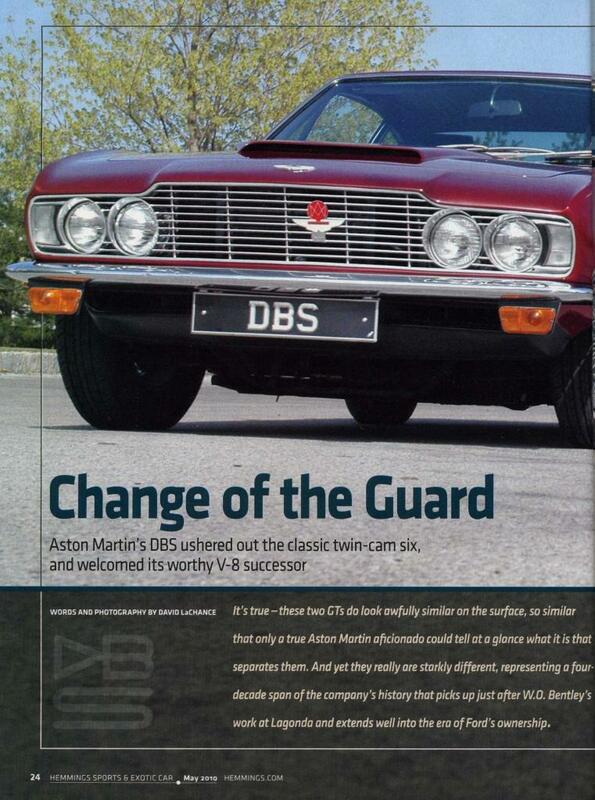 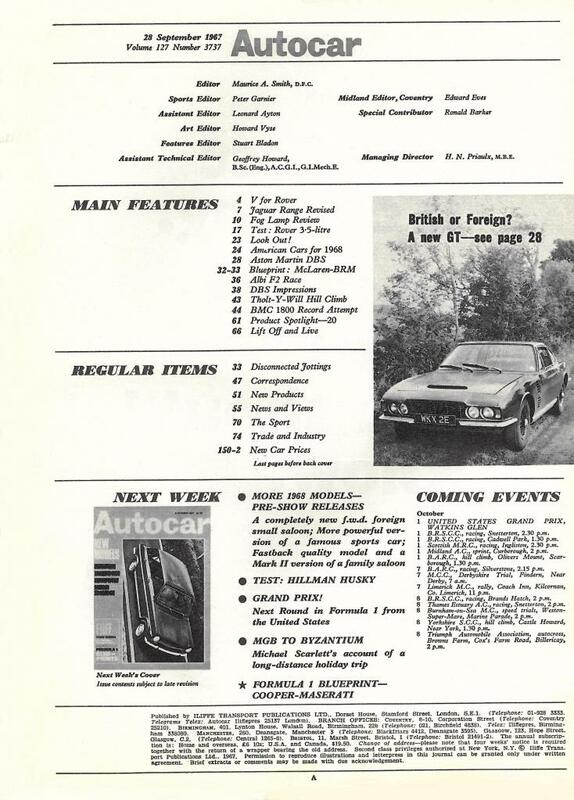 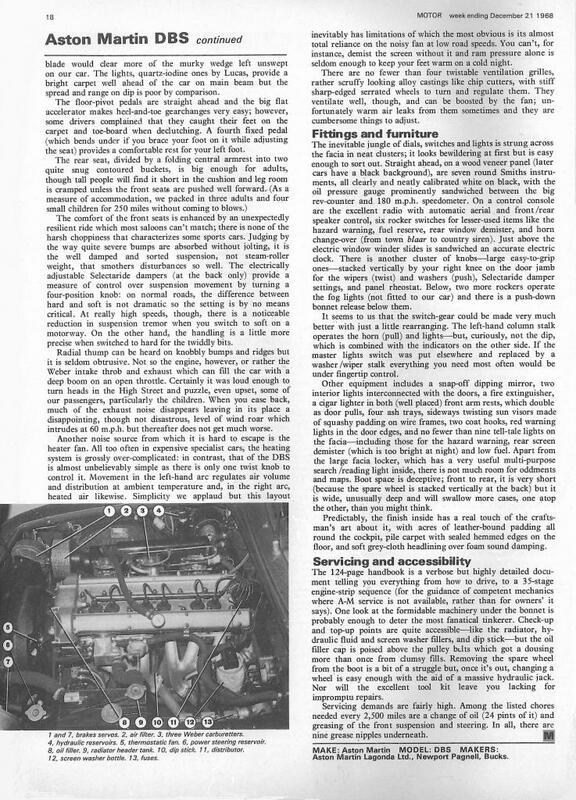 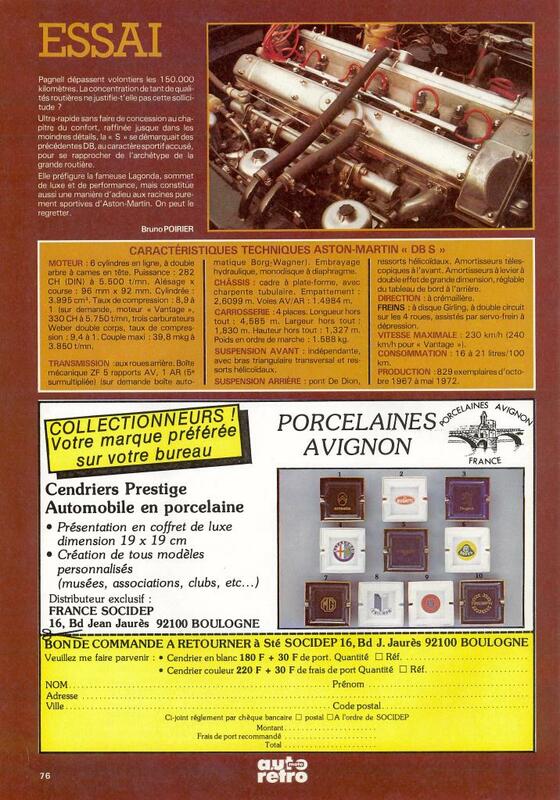 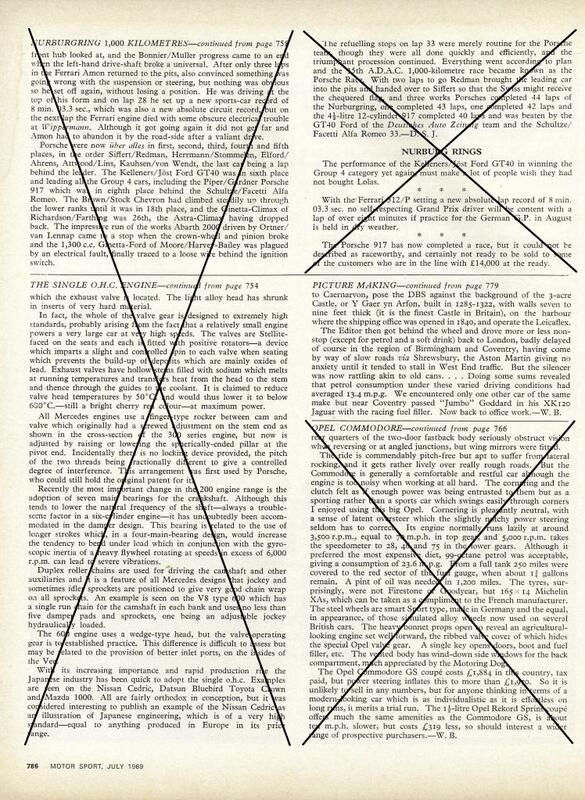 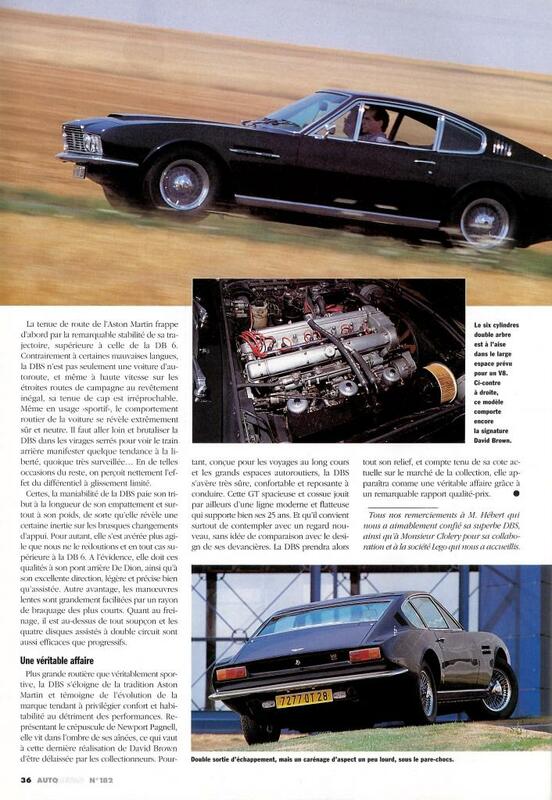 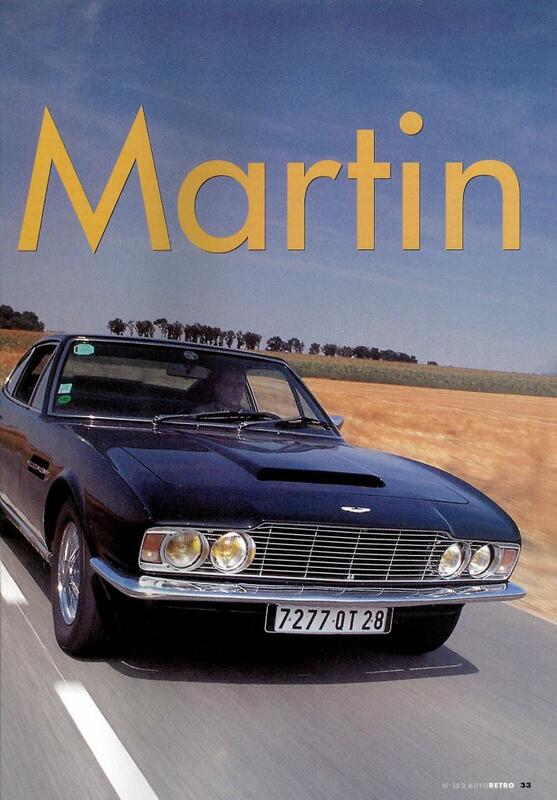 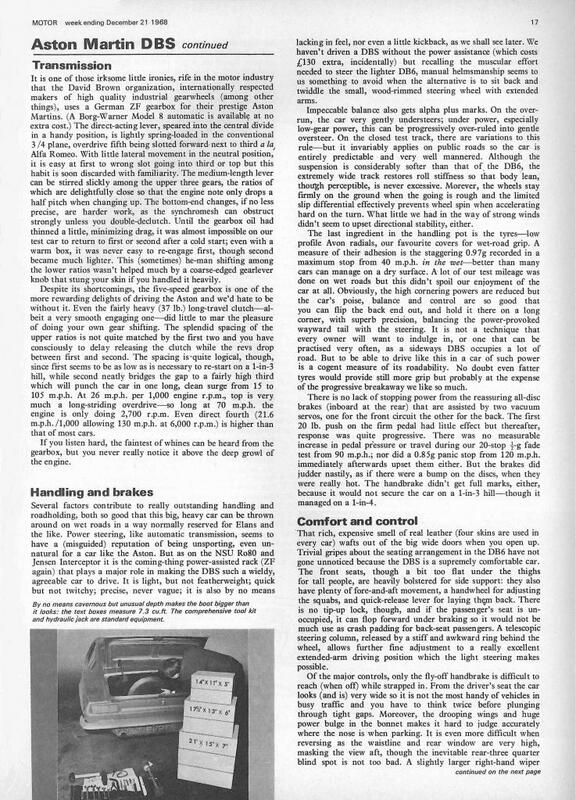 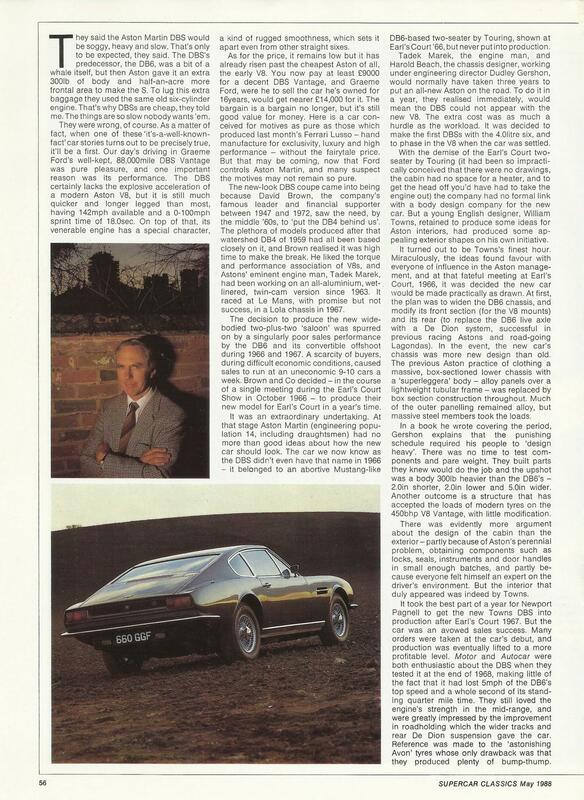 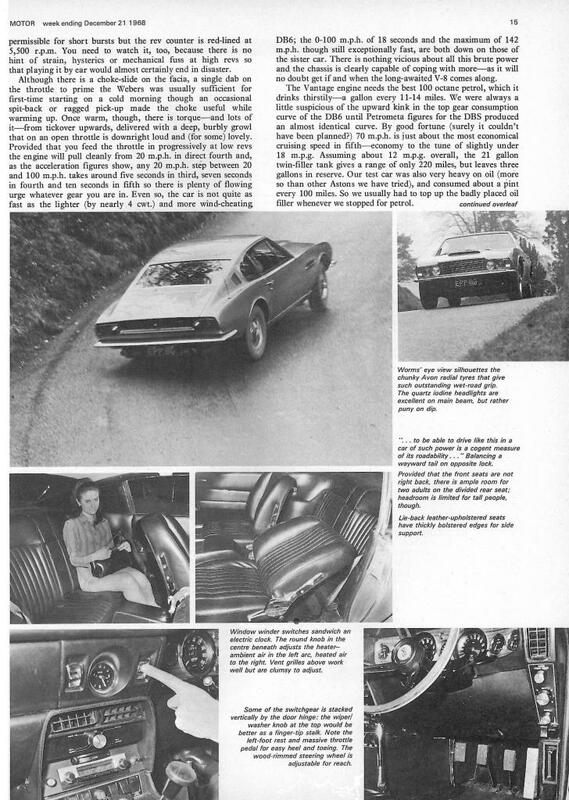 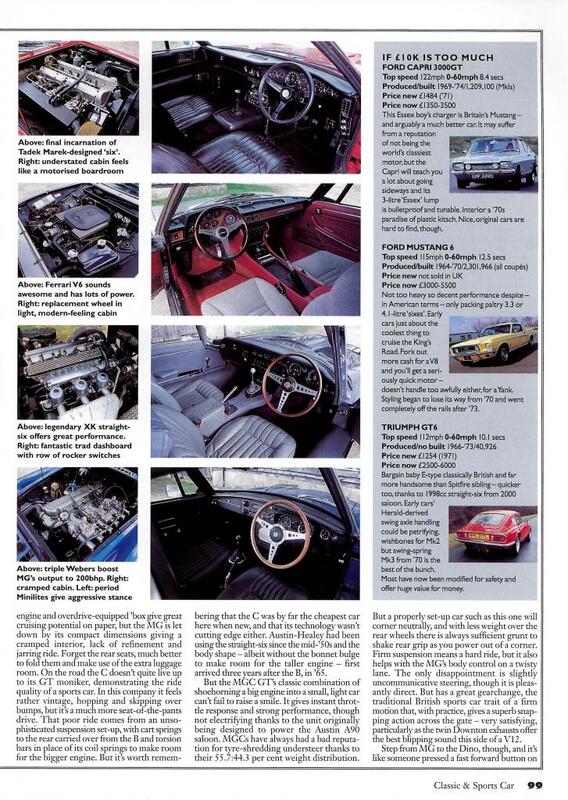 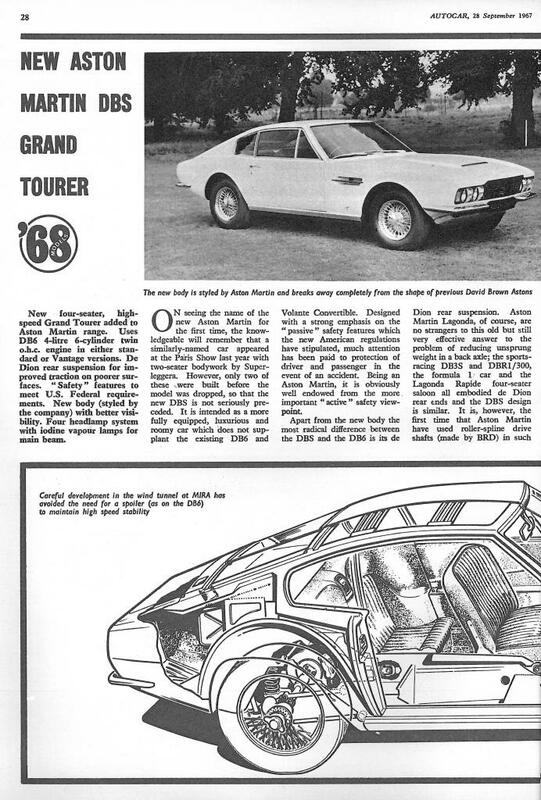 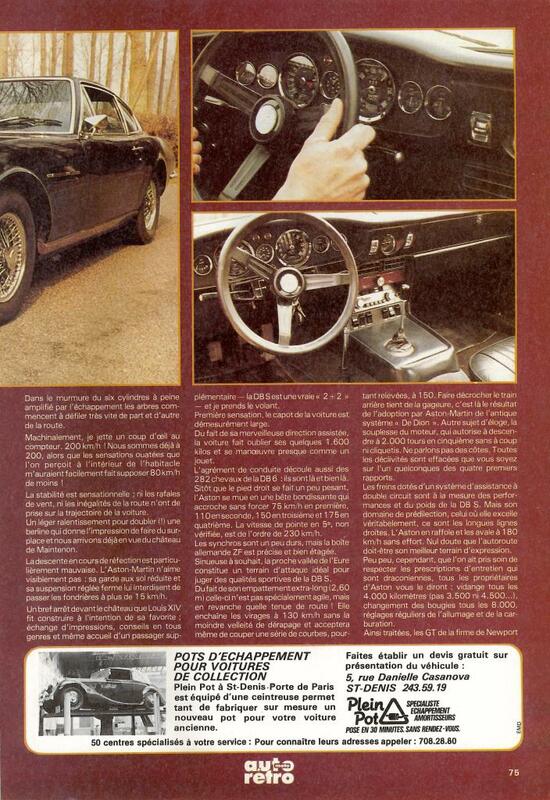 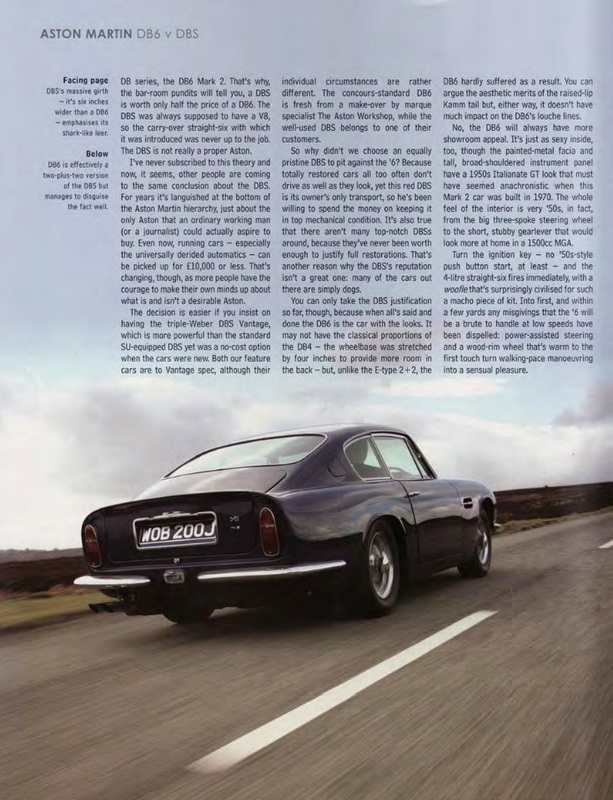 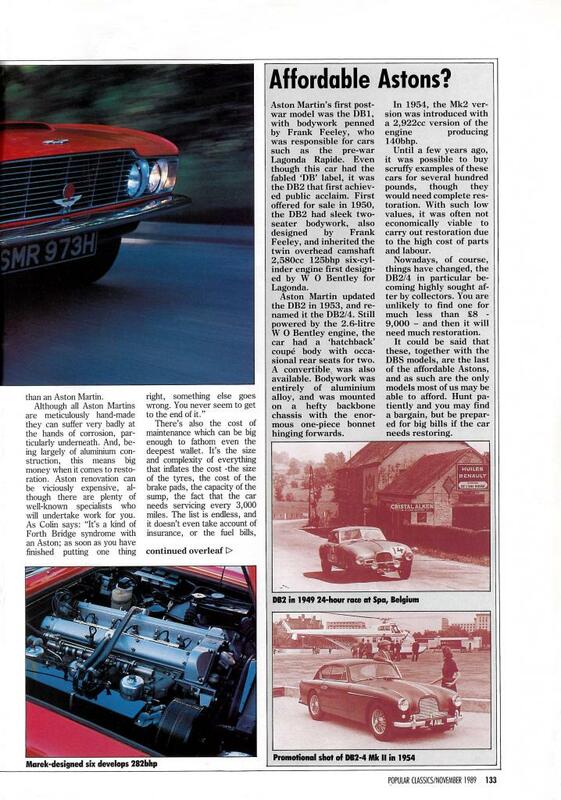 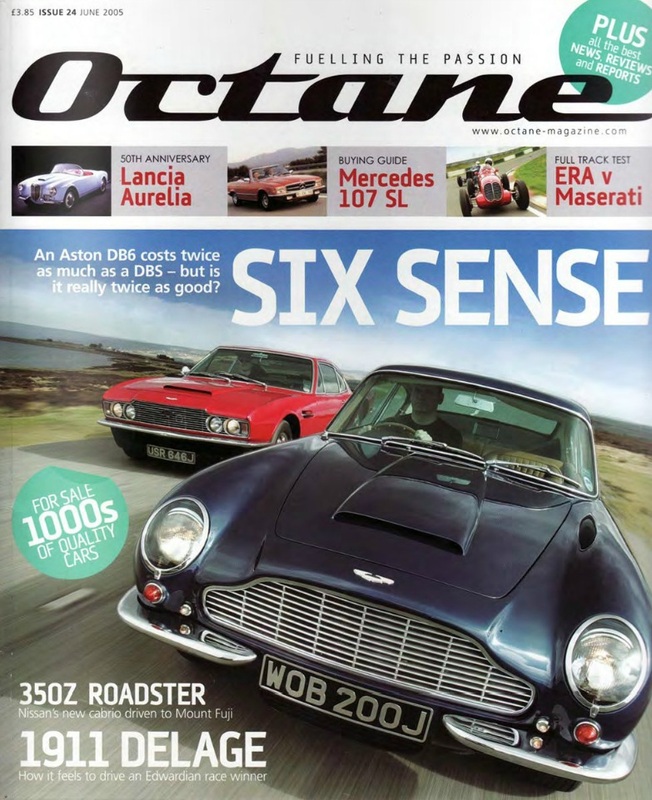 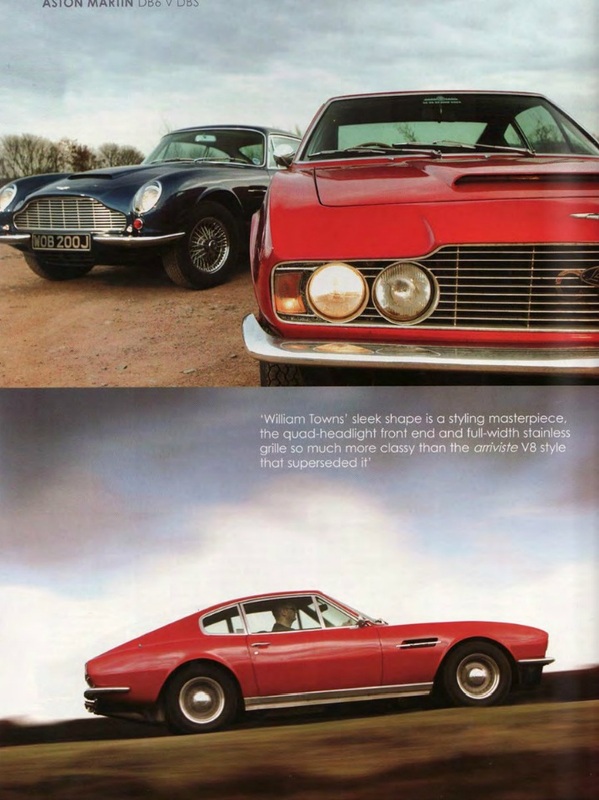 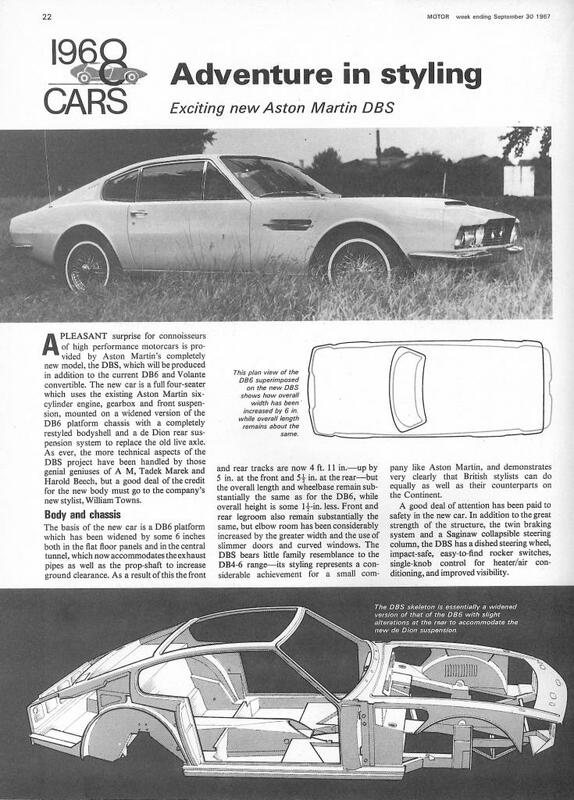 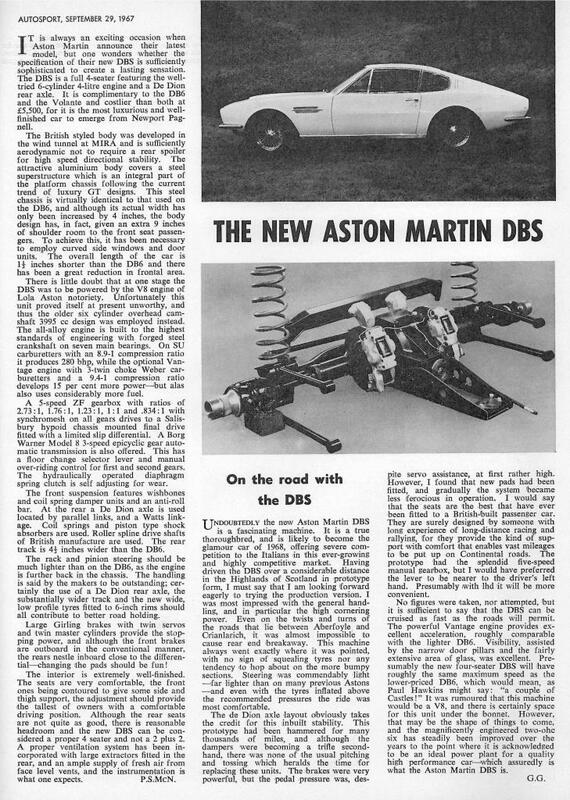 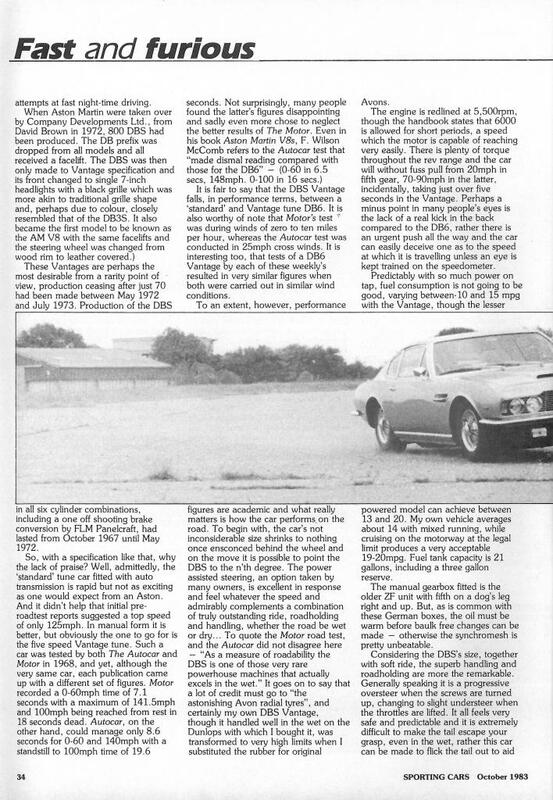 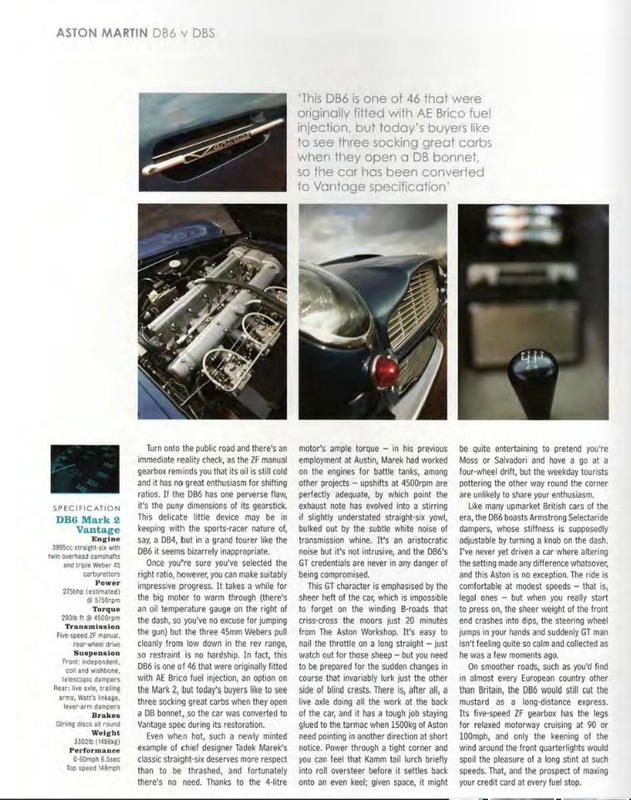 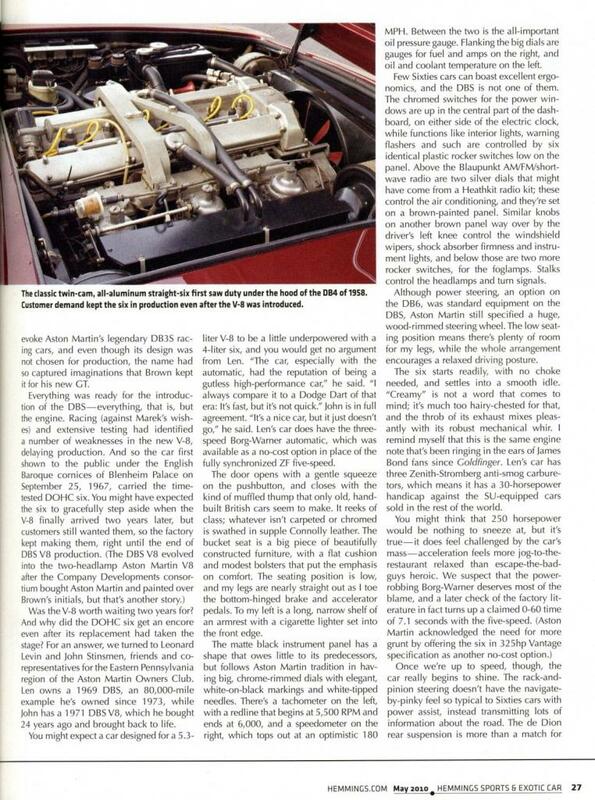 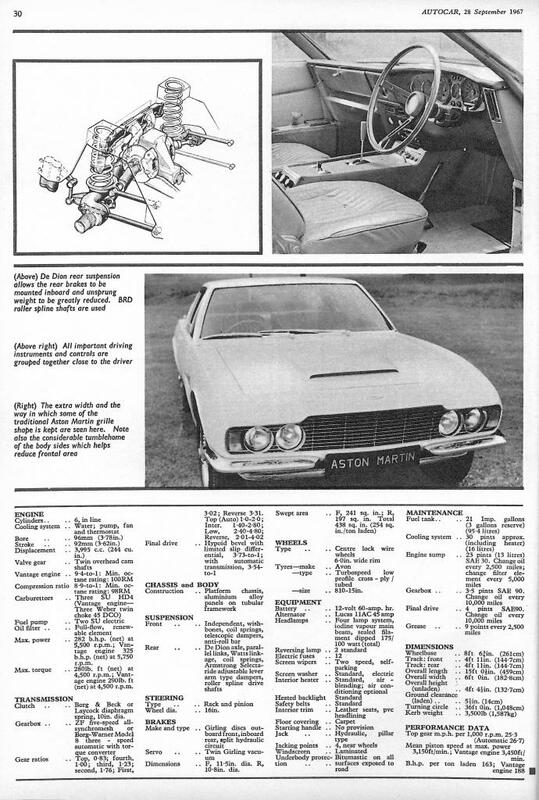 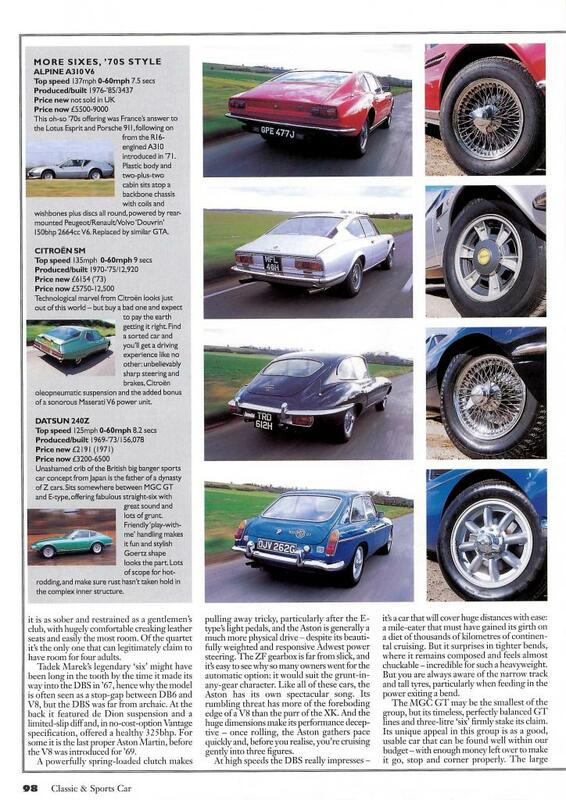 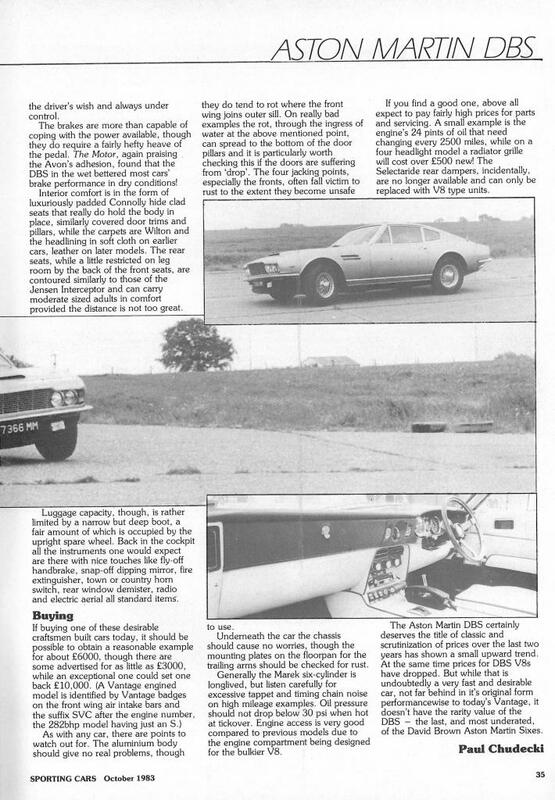 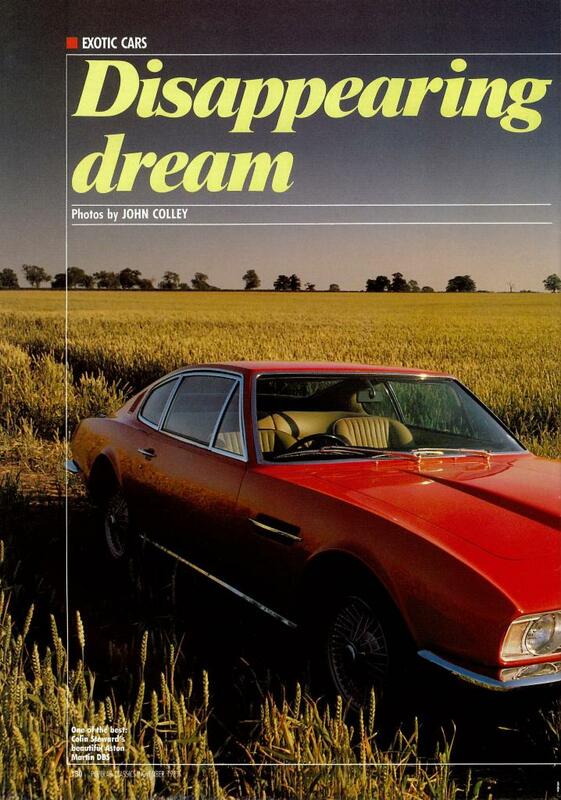 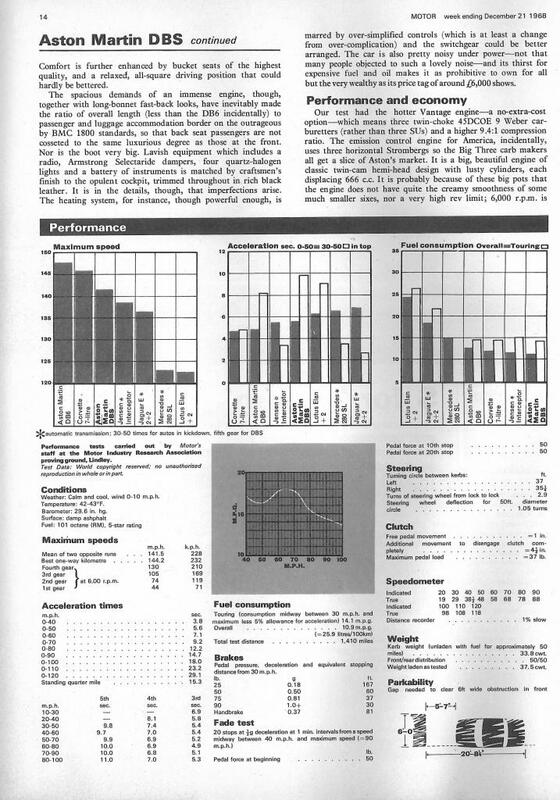 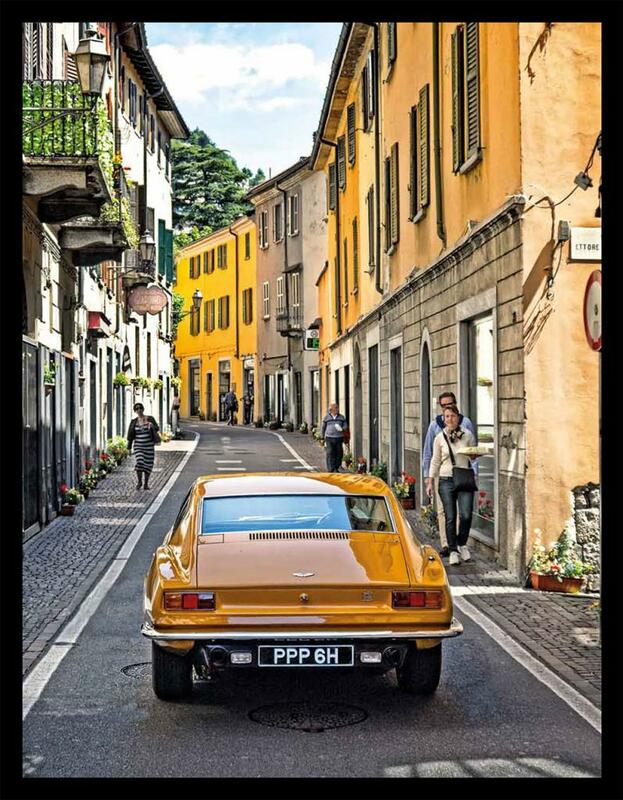 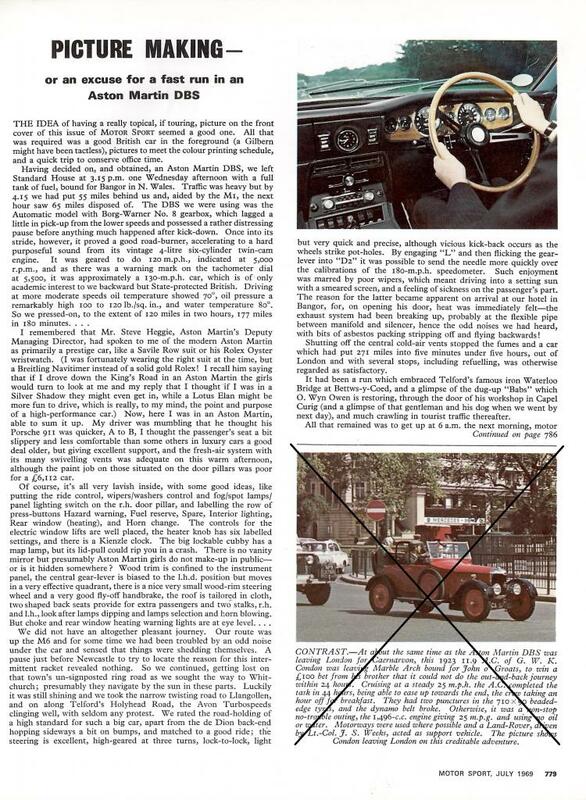 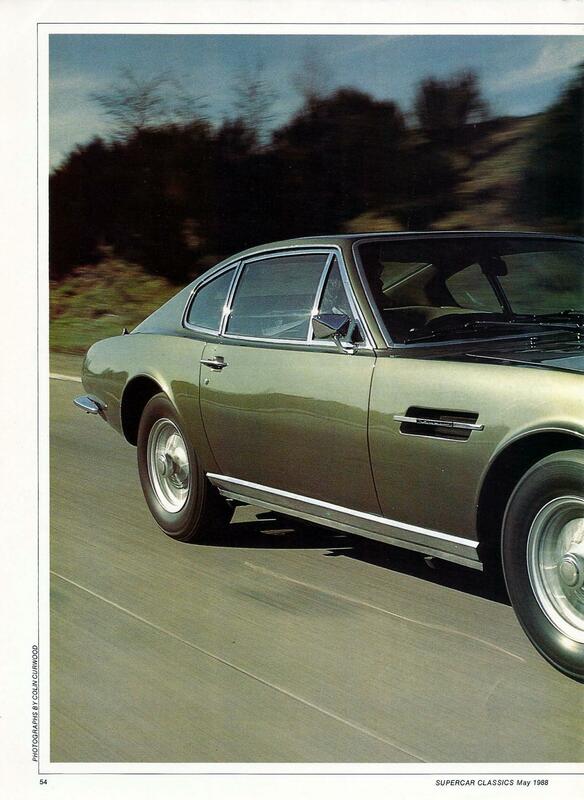 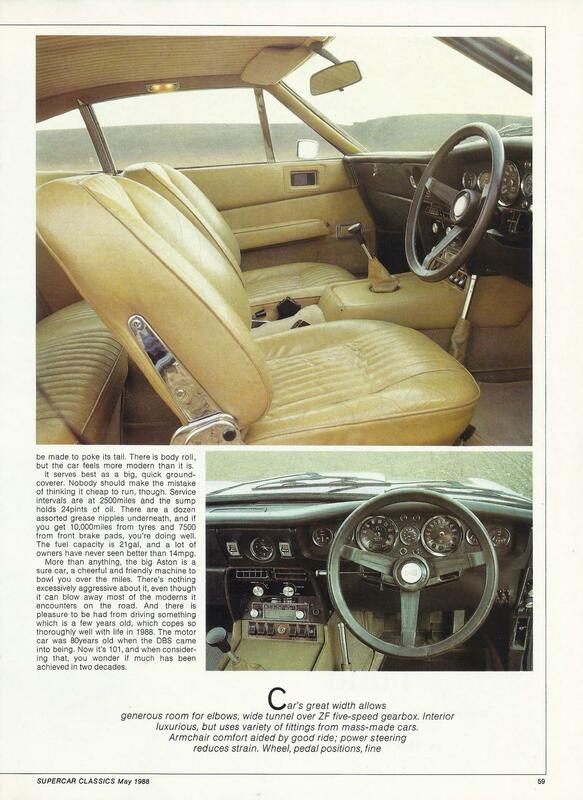 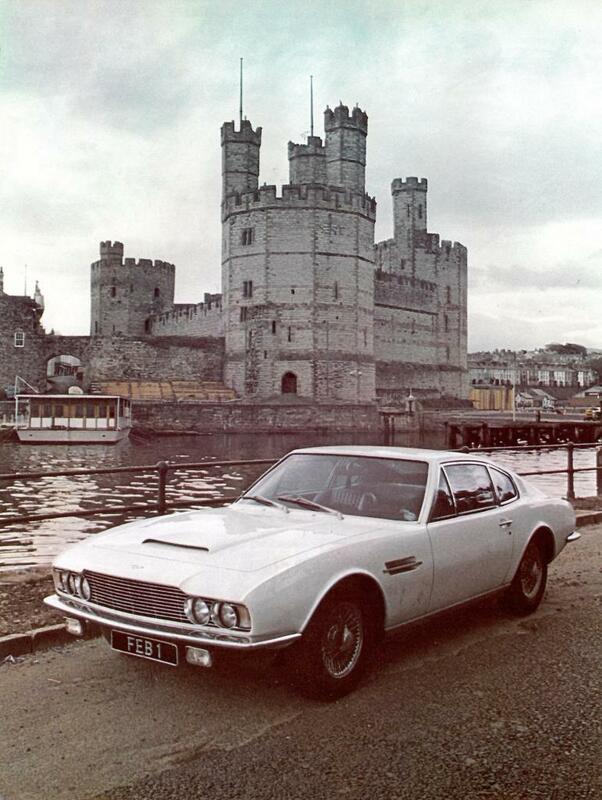 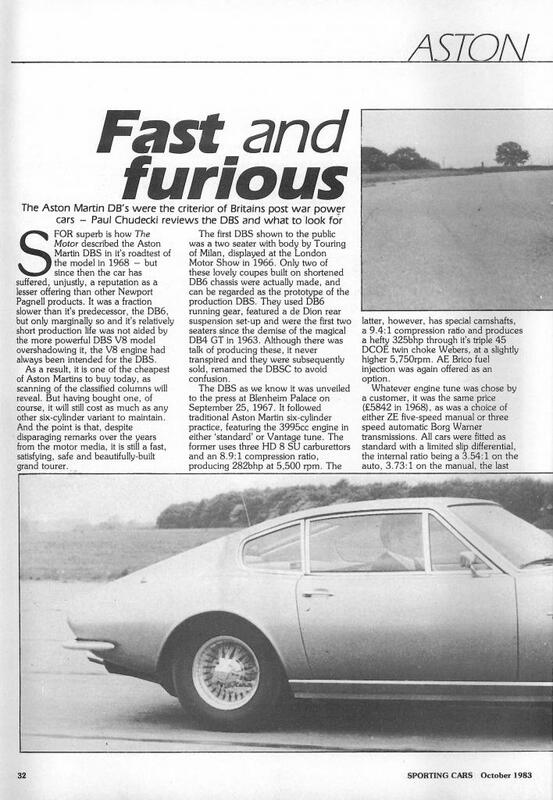 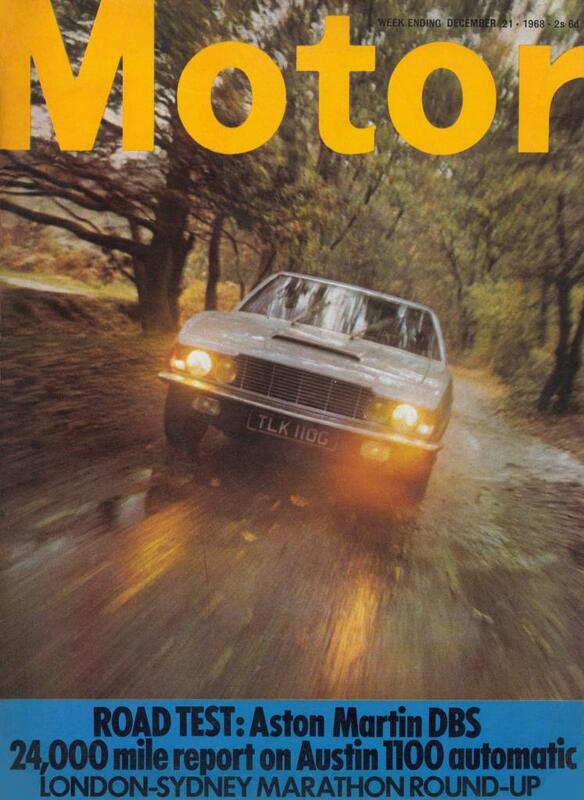 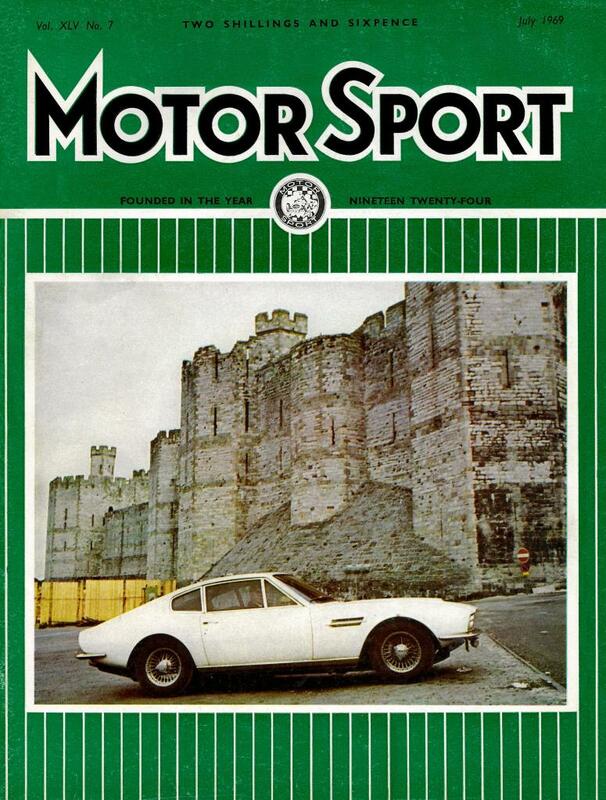 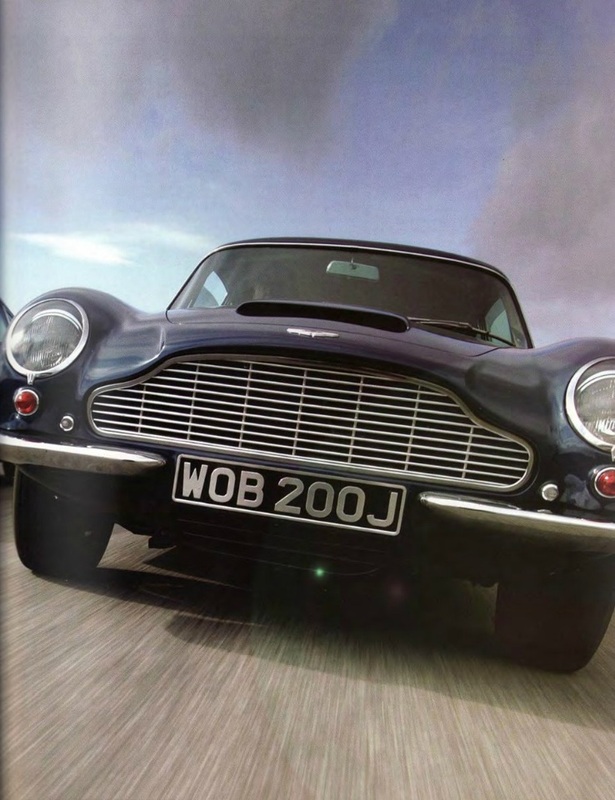 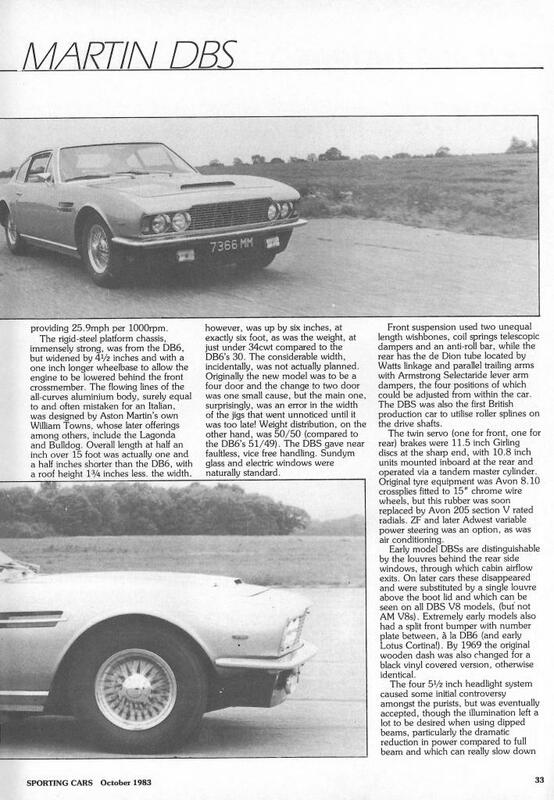 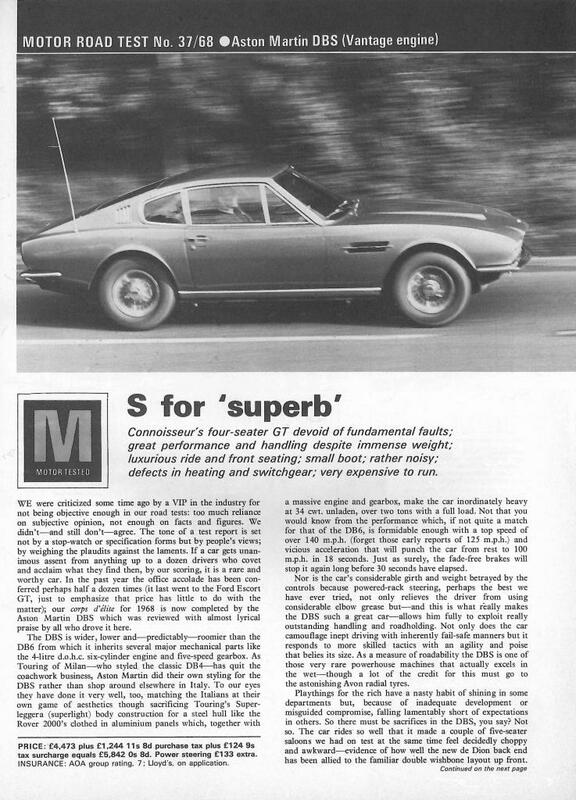 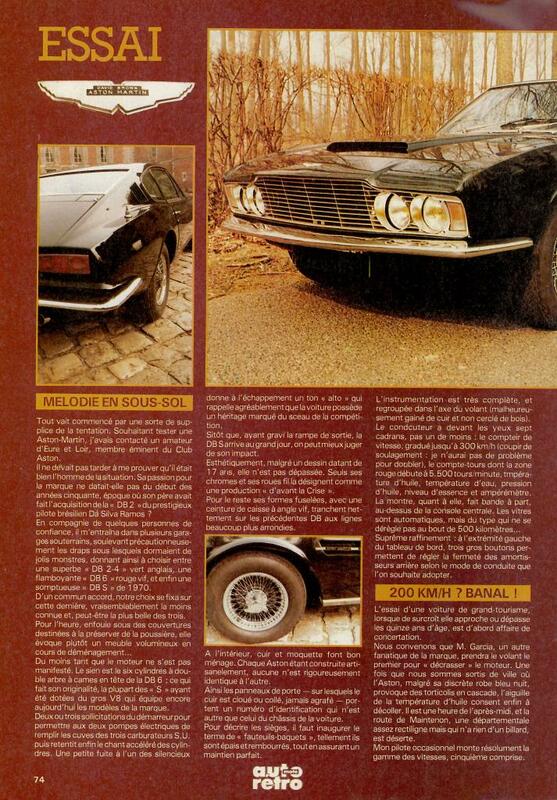 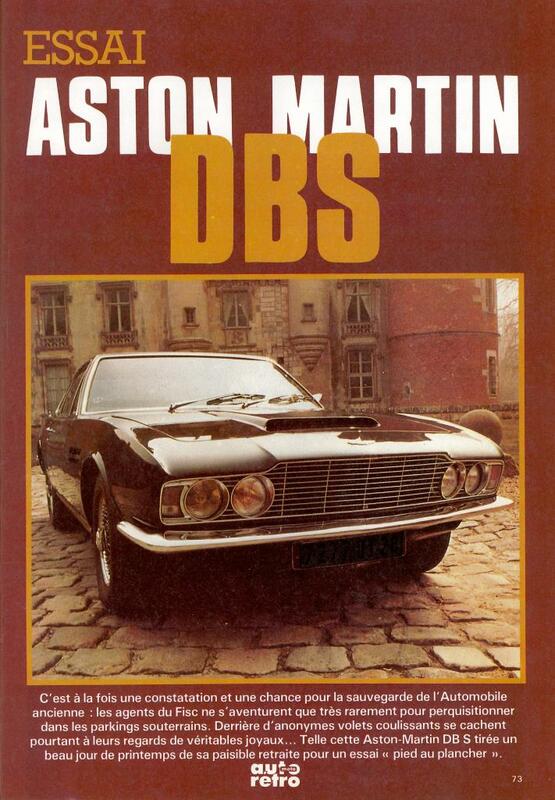 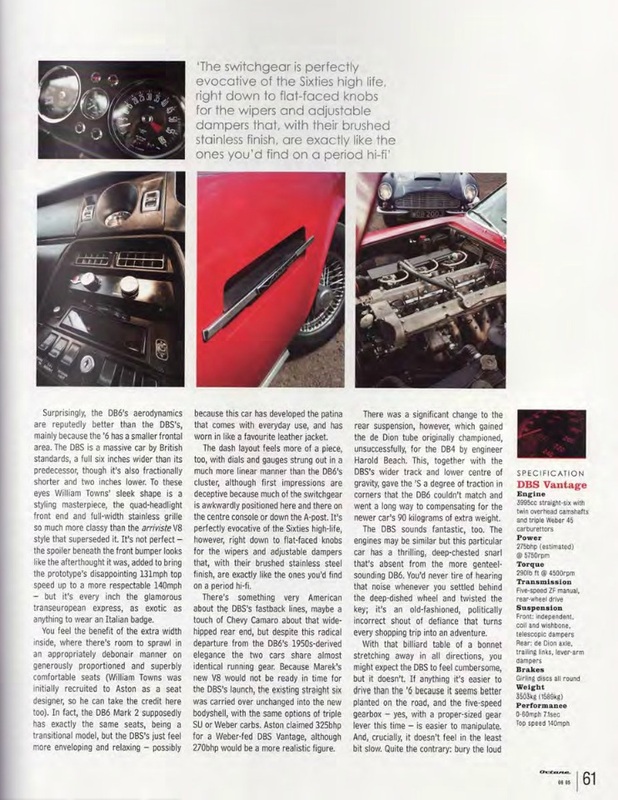 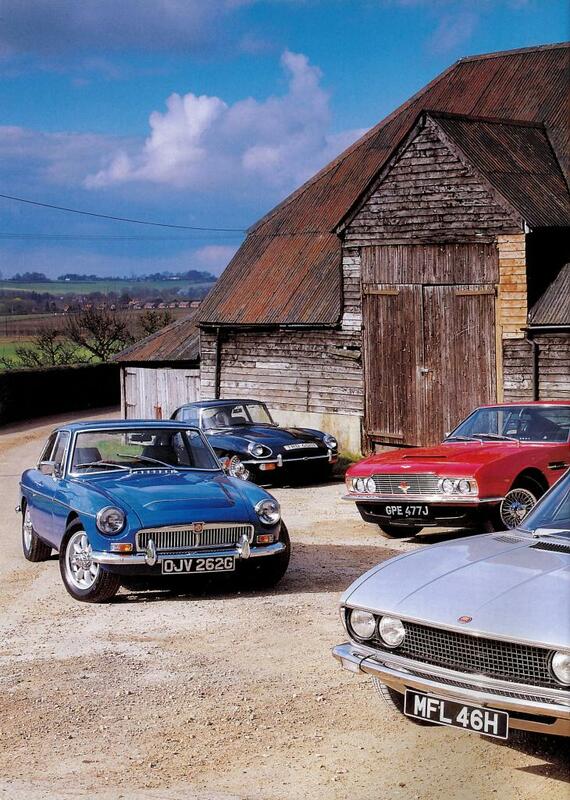 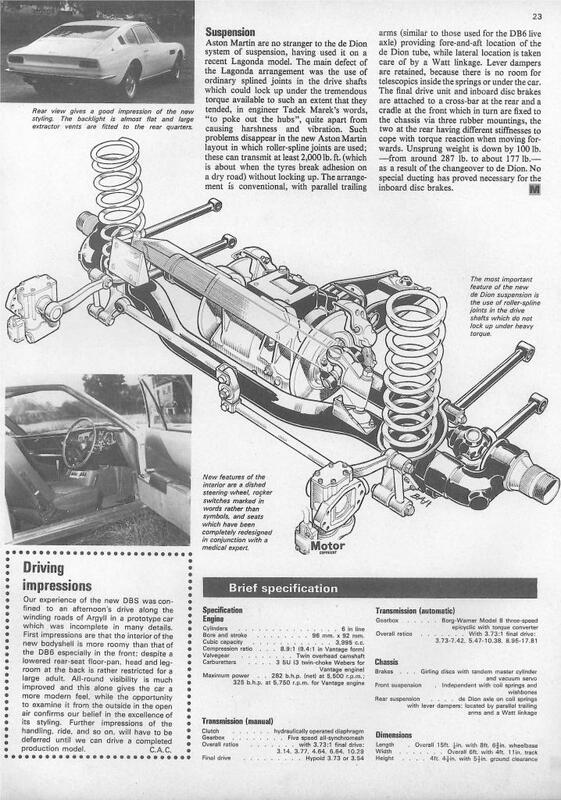 During the four year DBS and DBS V8 production period from 1967 and 1972 some 15 articles appeared in the well-known British magazines Autocar and Motor. 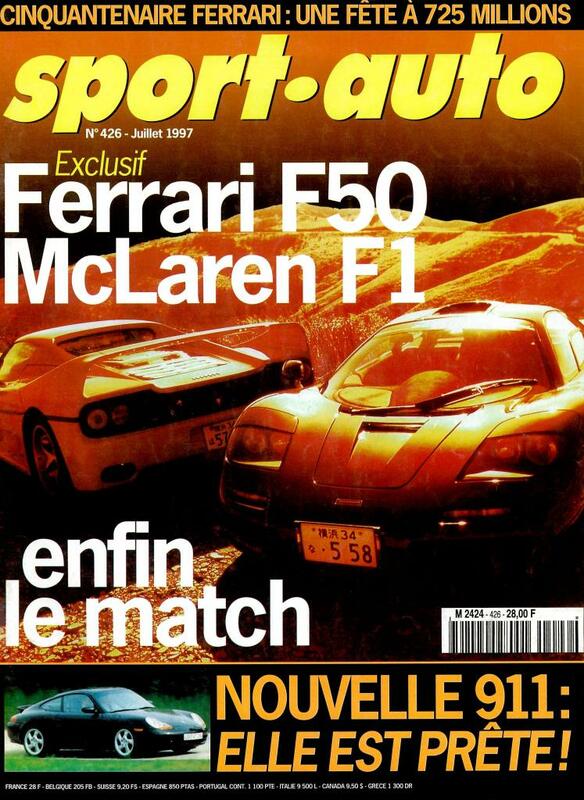 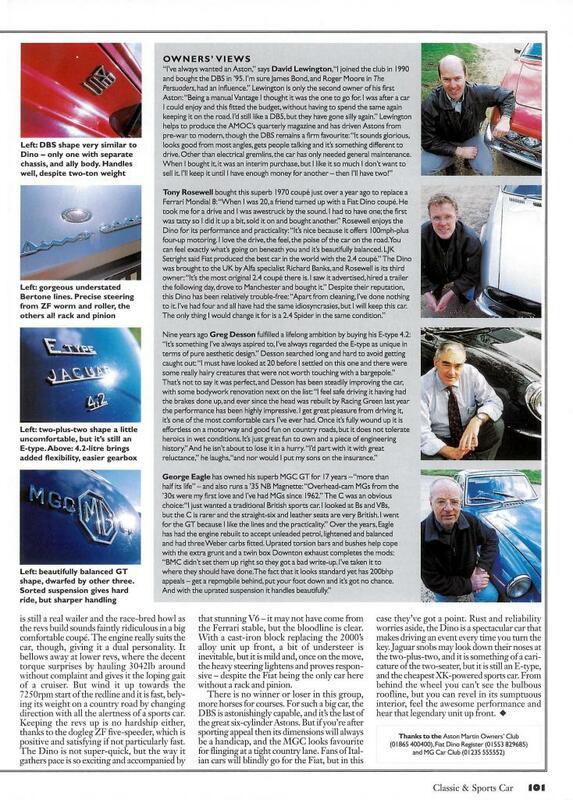 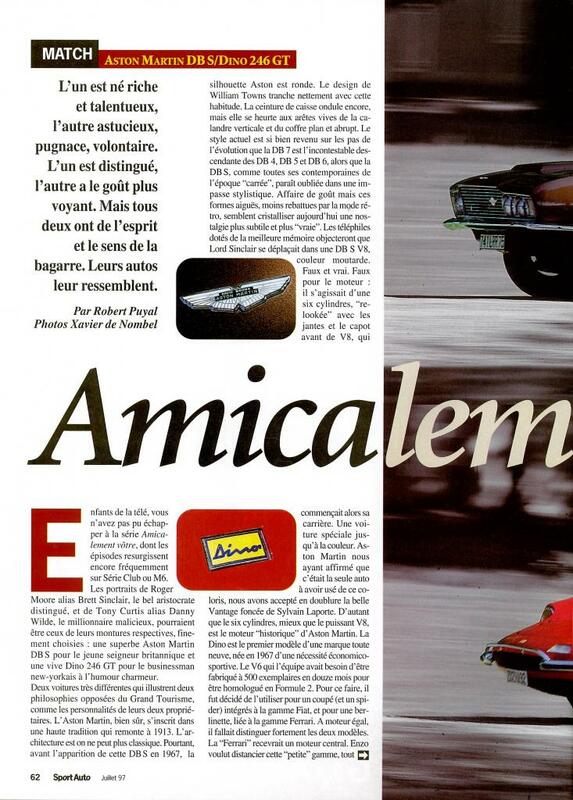 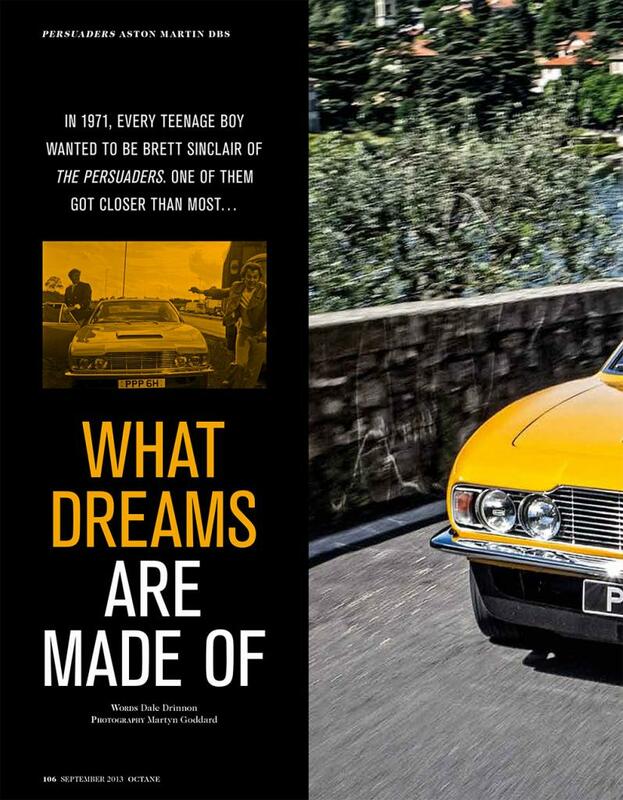 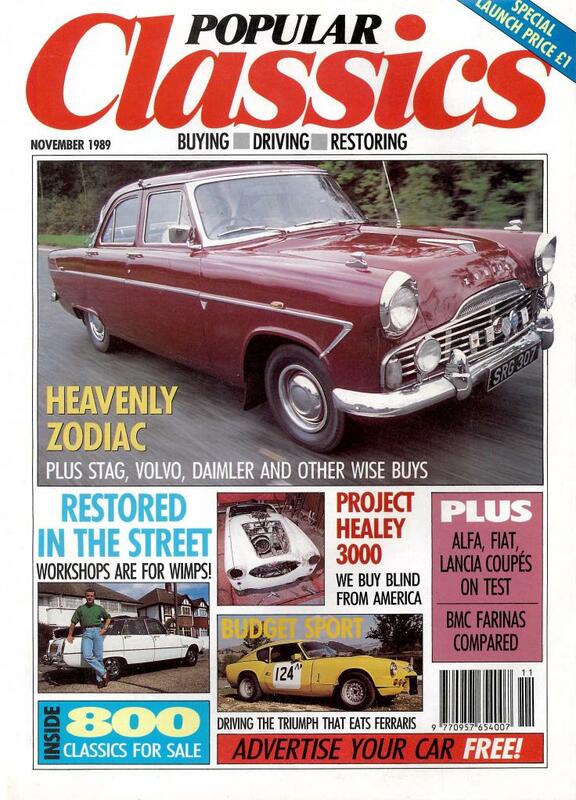 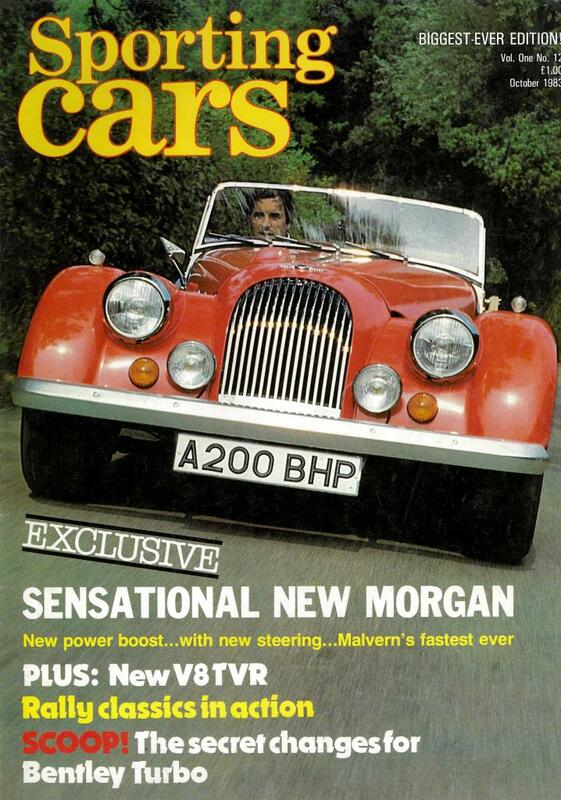 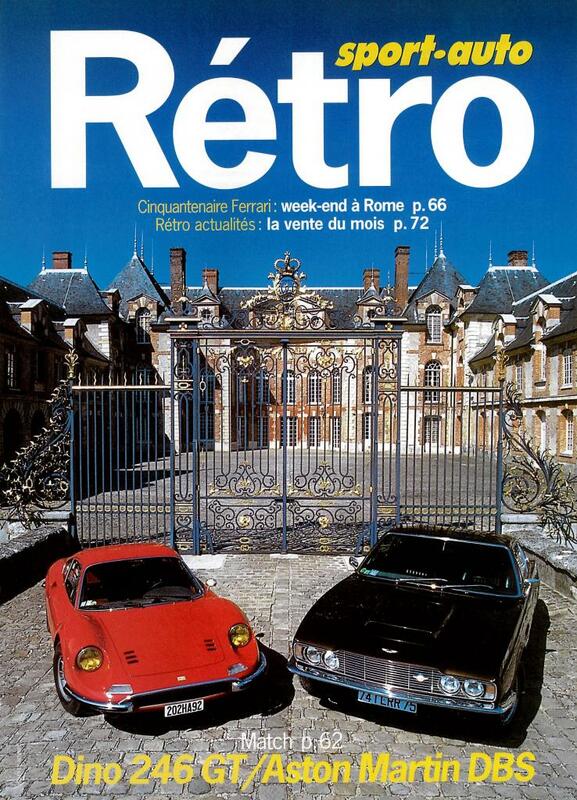 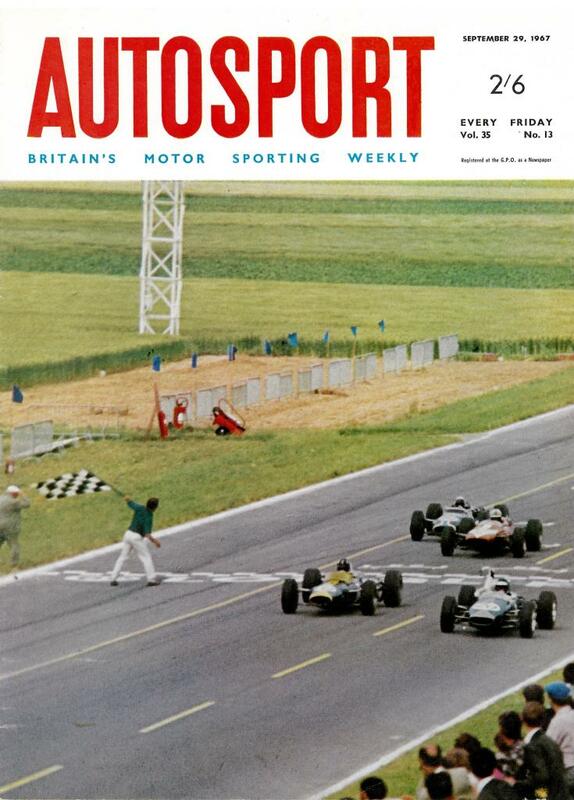 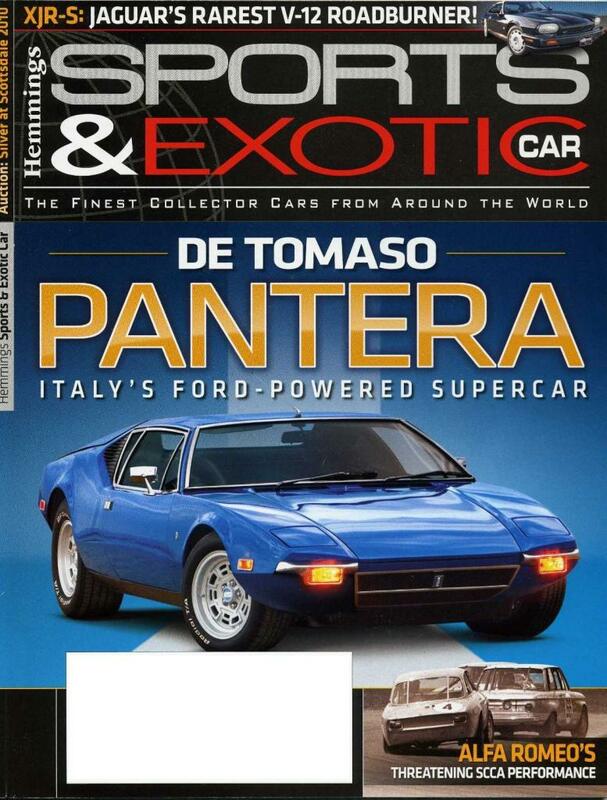 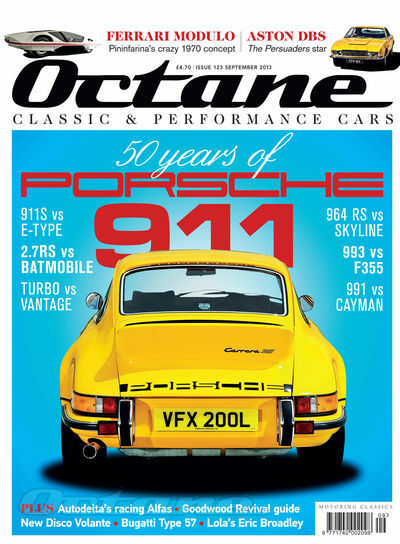 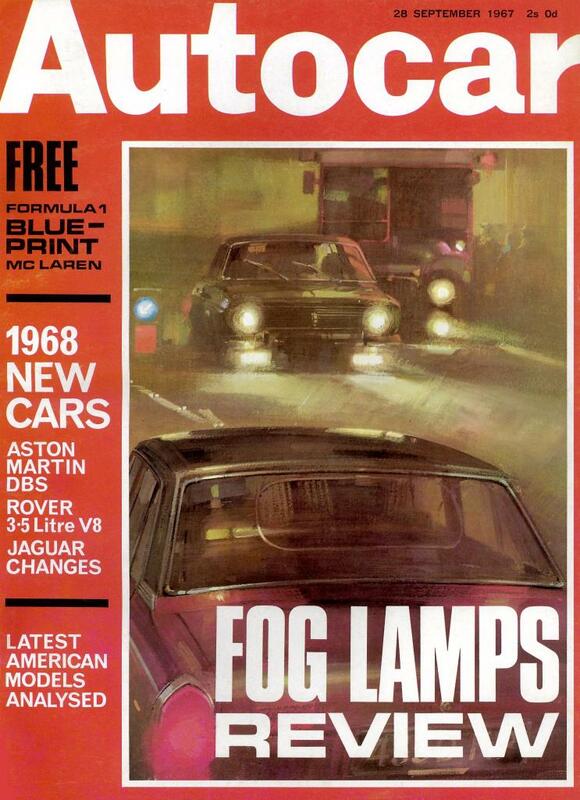 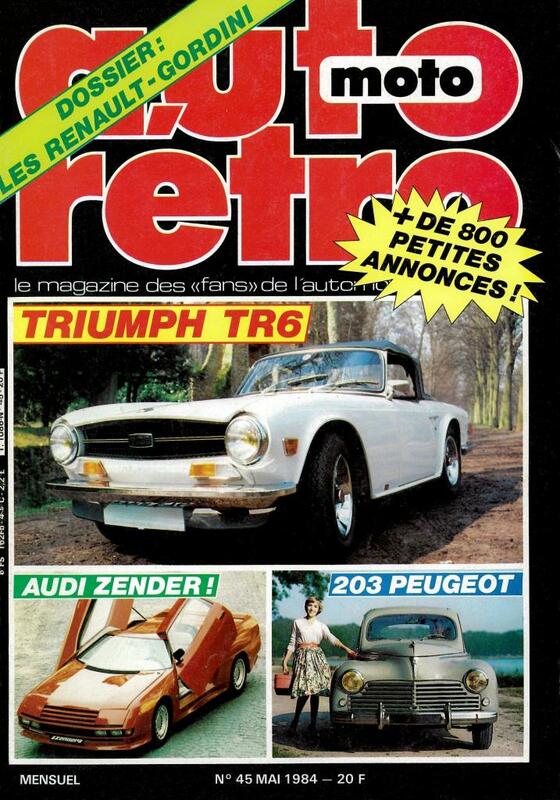 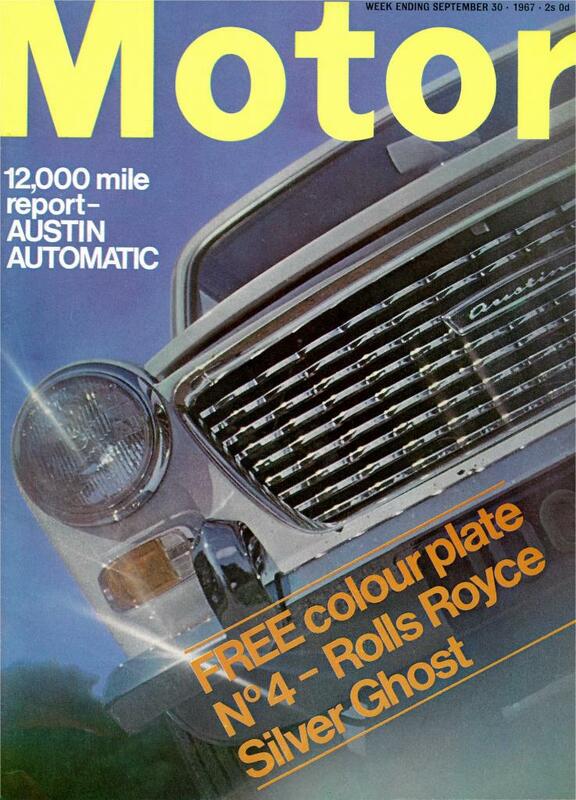 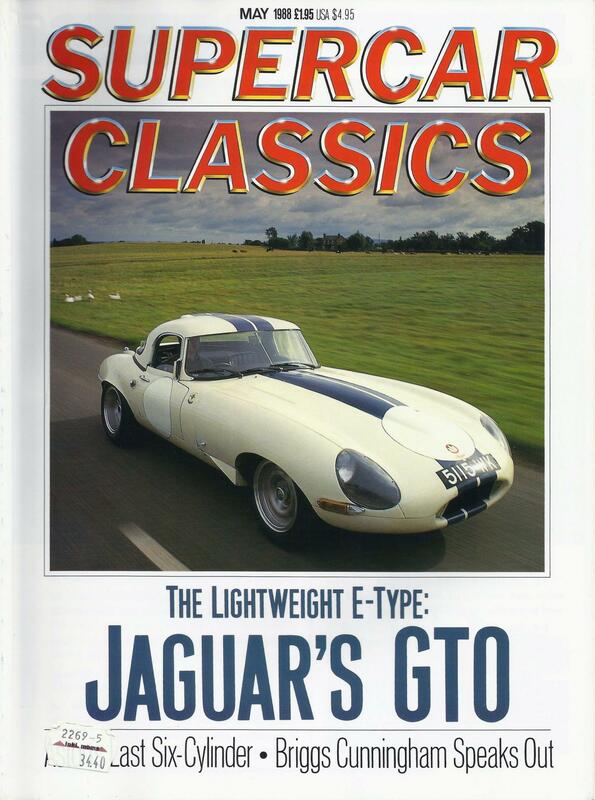 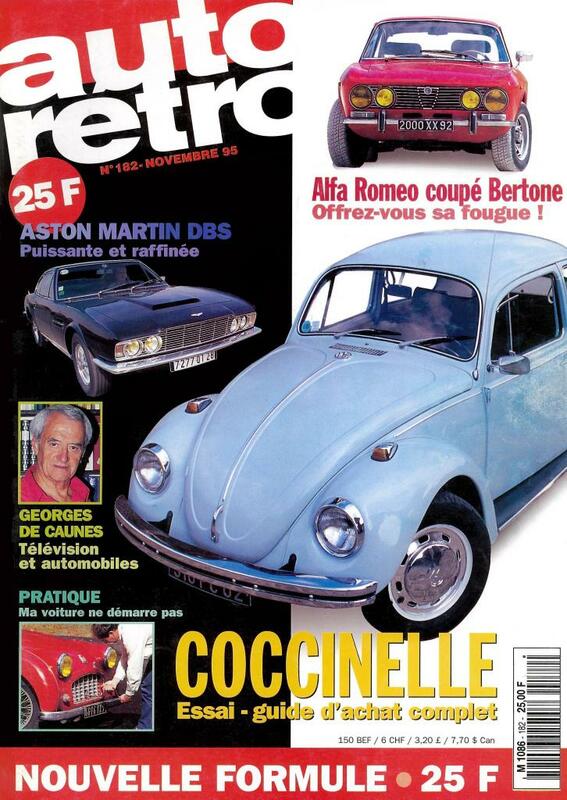 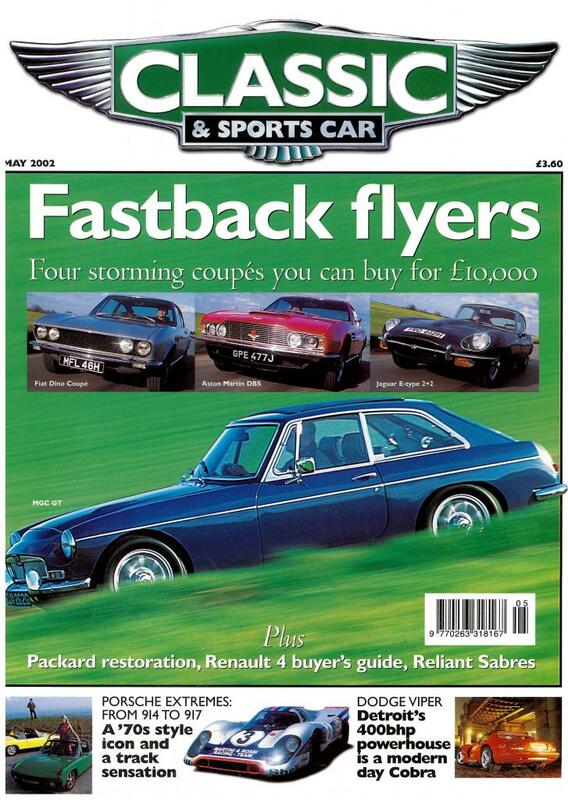 And in the 45 years since the cars were first produced over 60 articles are known to have been published in the British press alone while only 15 were published in France. 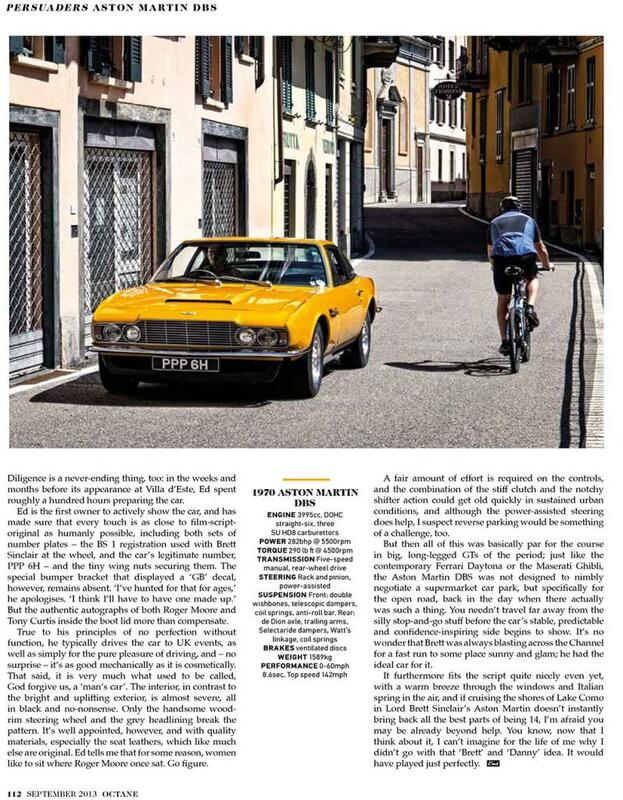 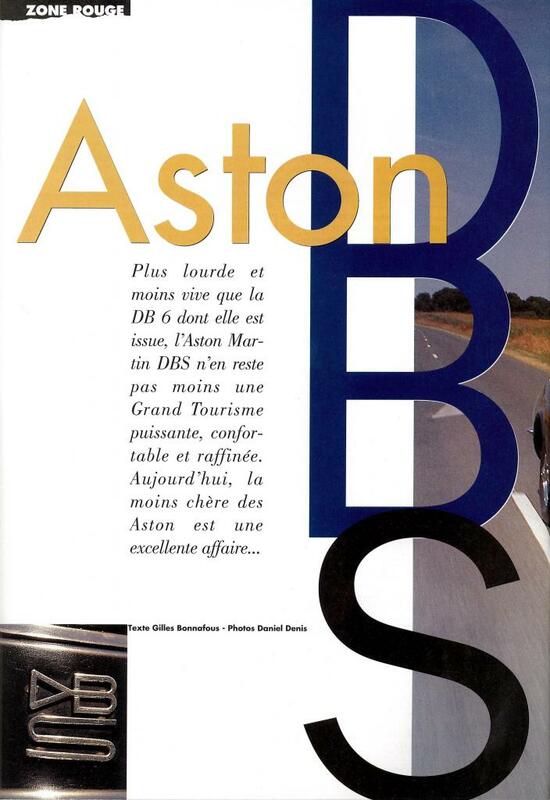 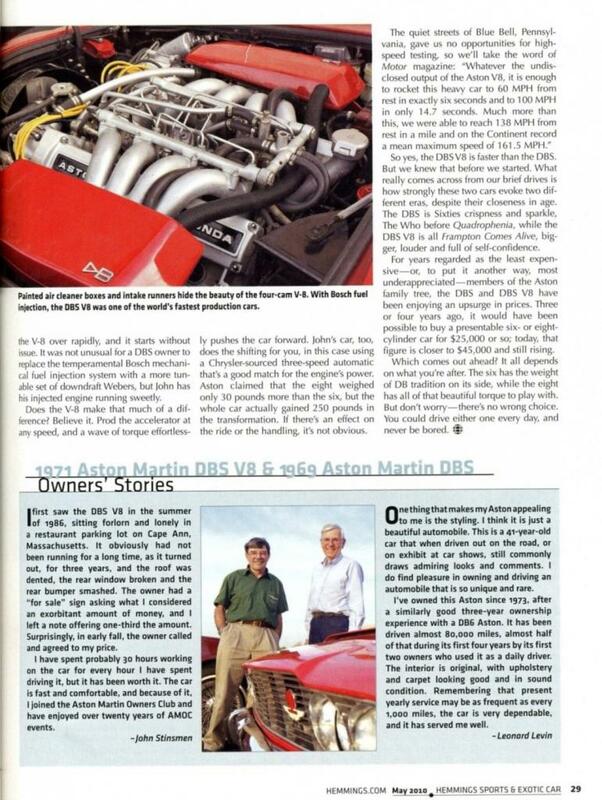 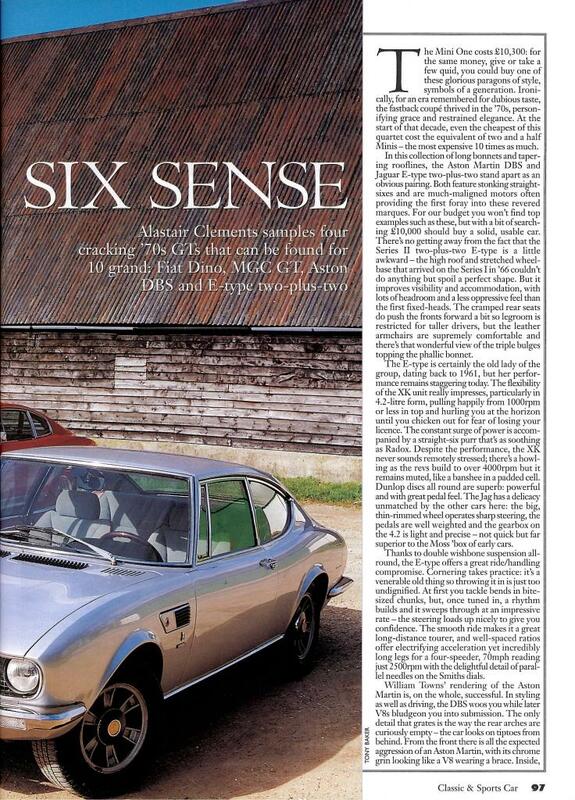 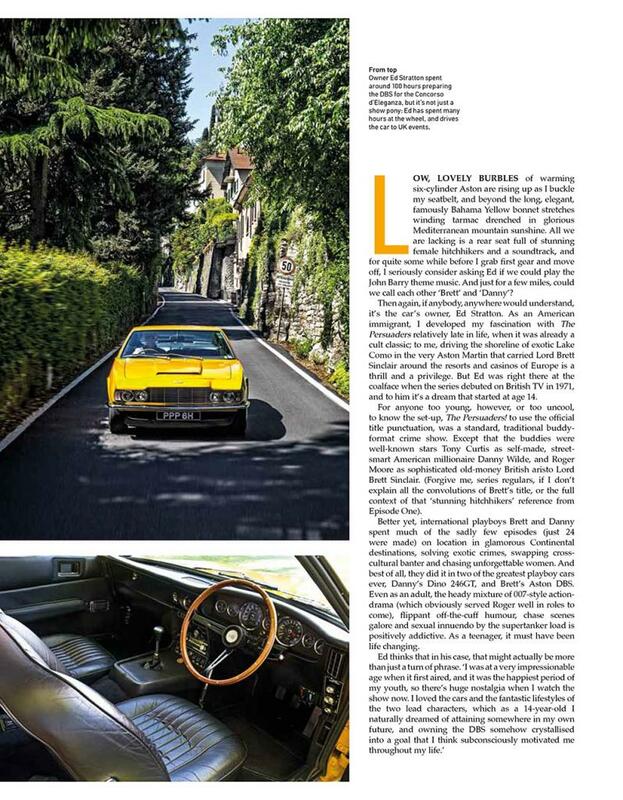 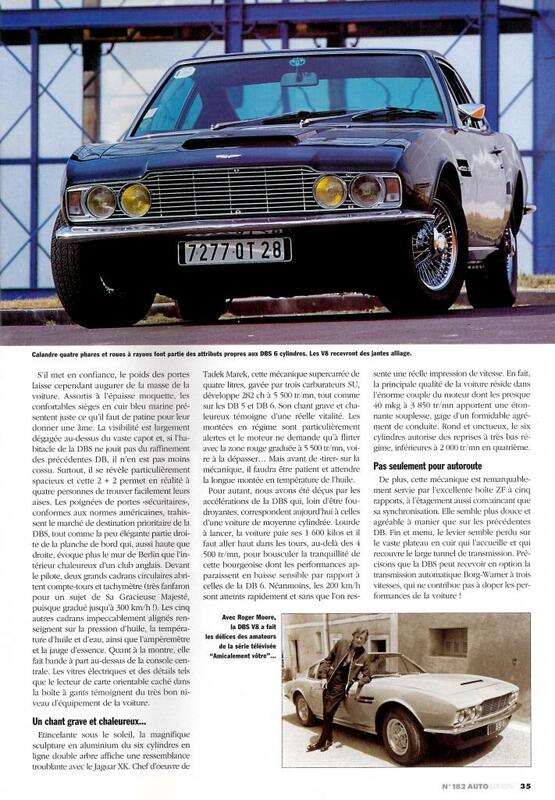 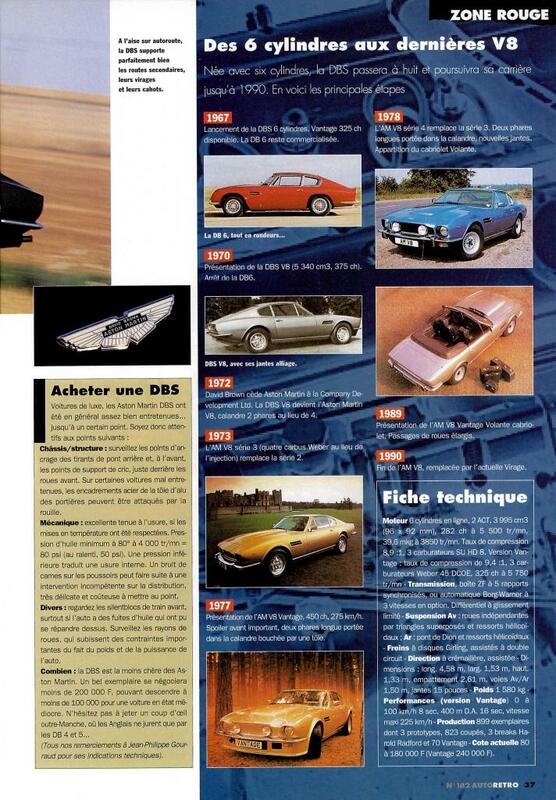 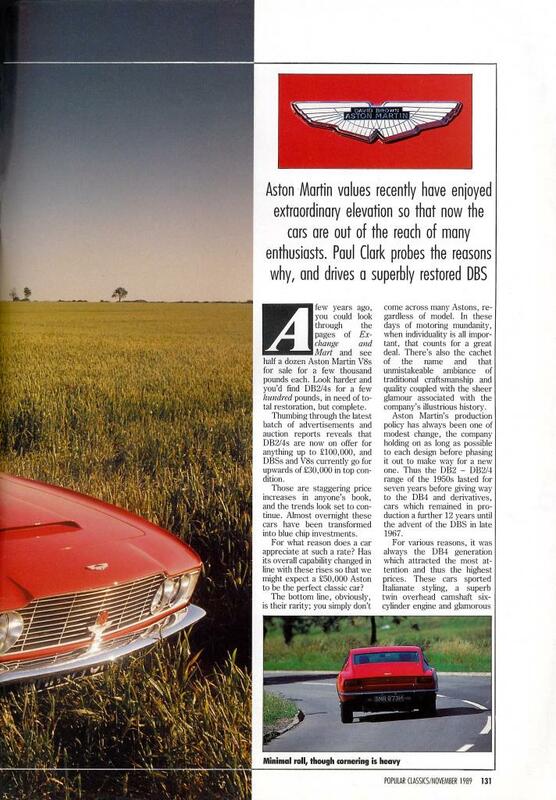 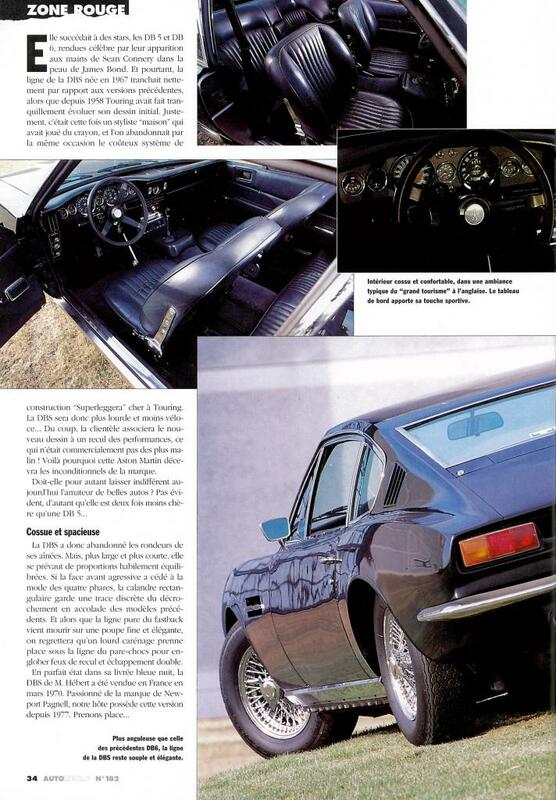 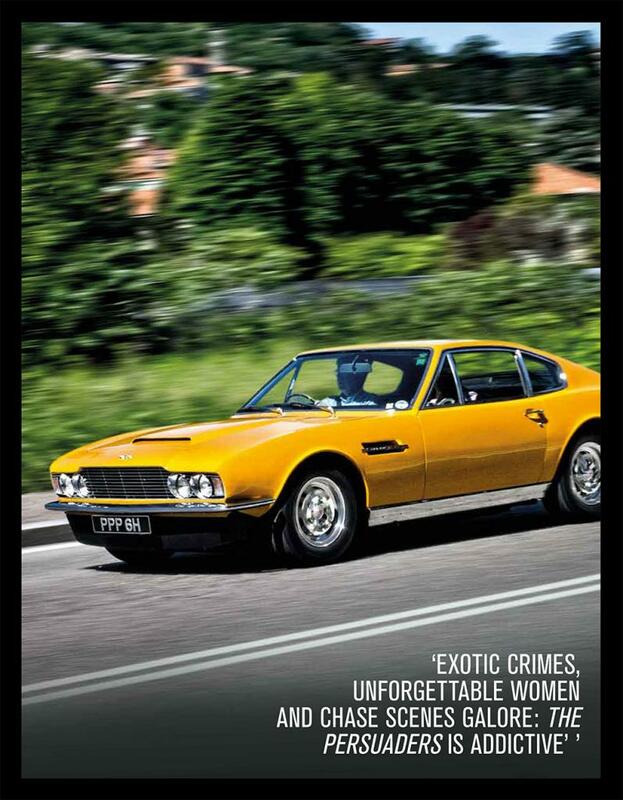 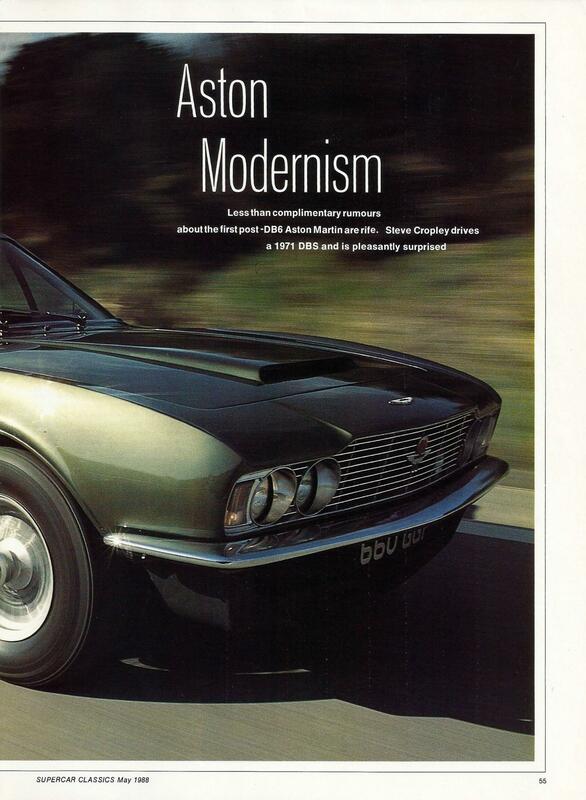 Today the Aston Martin DBS still receives attention in the motoring press, particularly in the domaine of sports and classic cars.